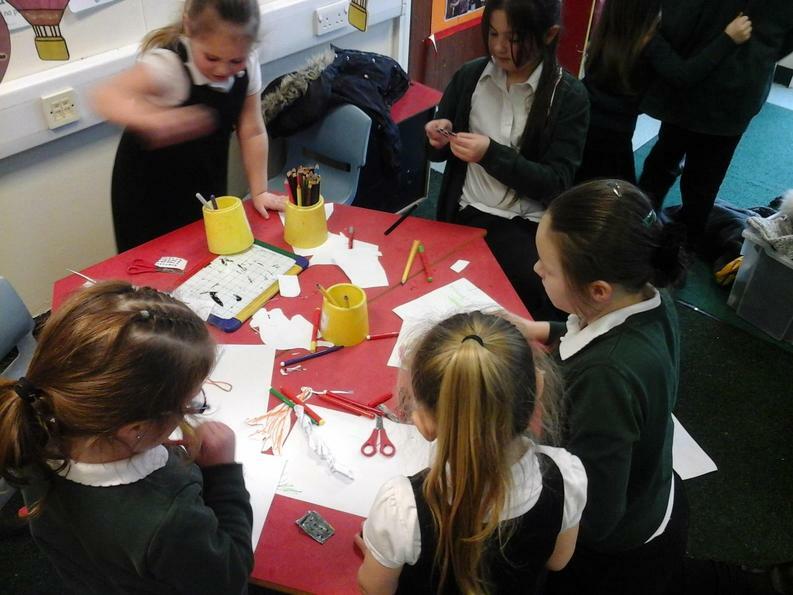 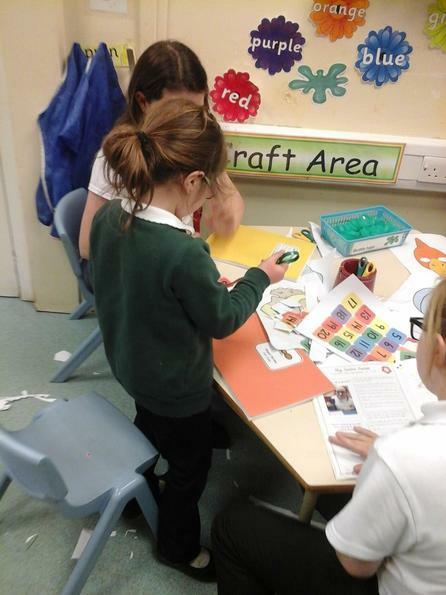 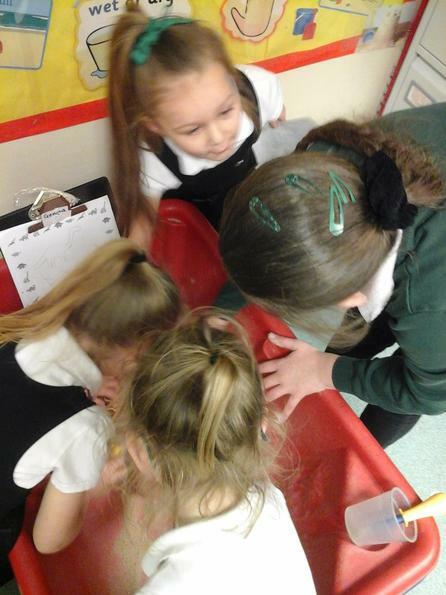 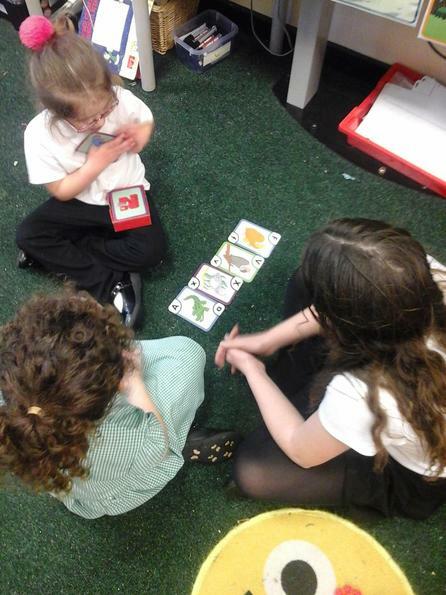 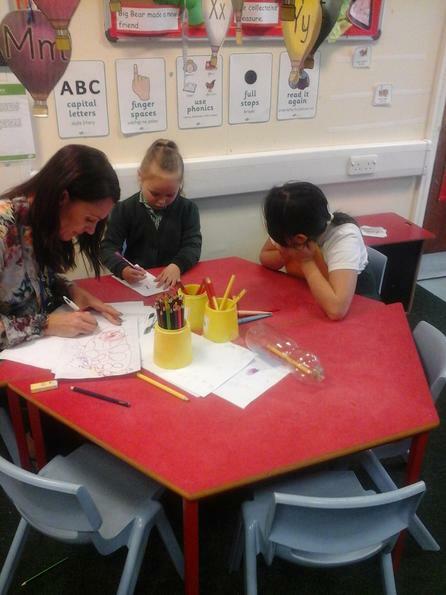 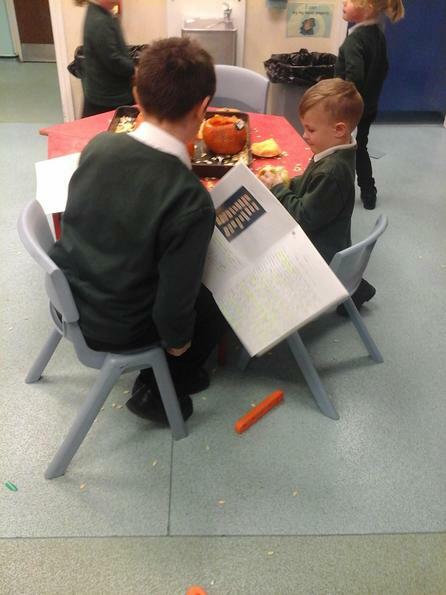 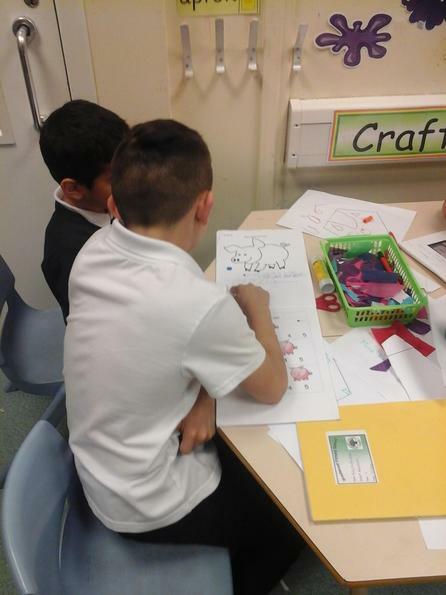 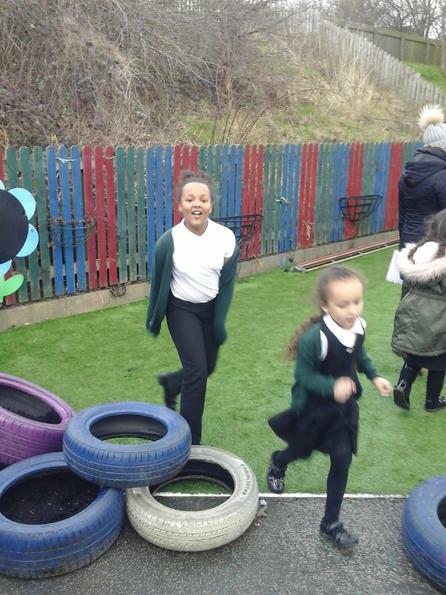 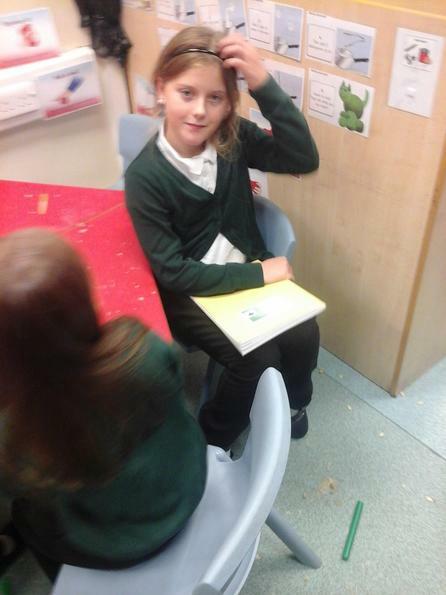 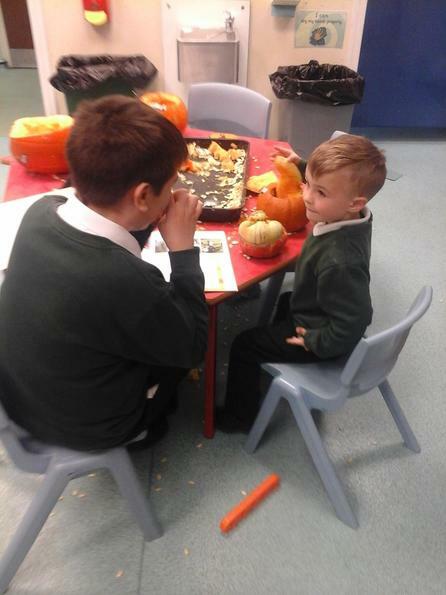 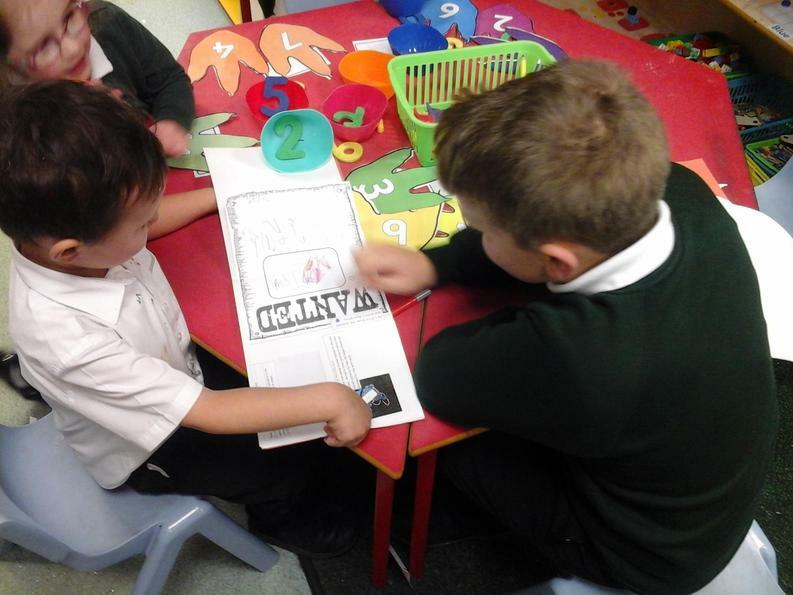 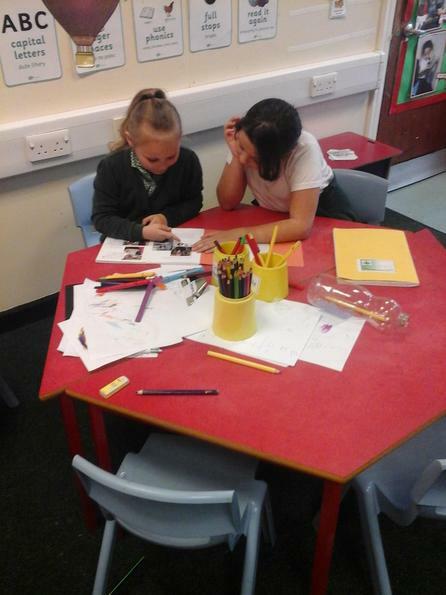 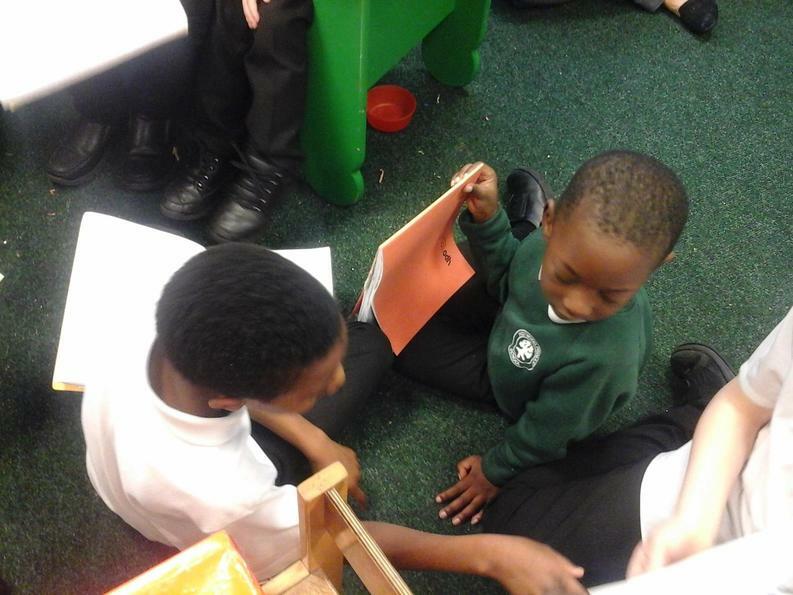 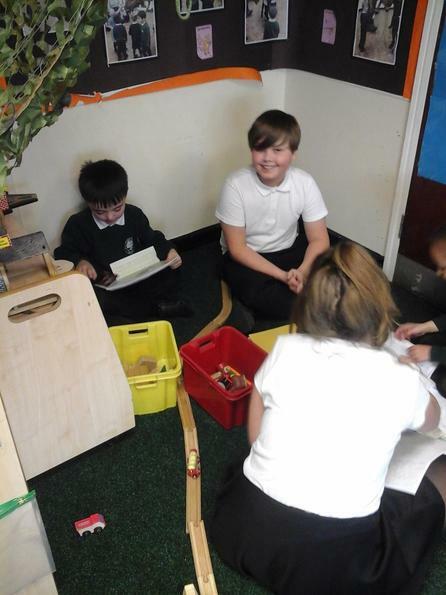 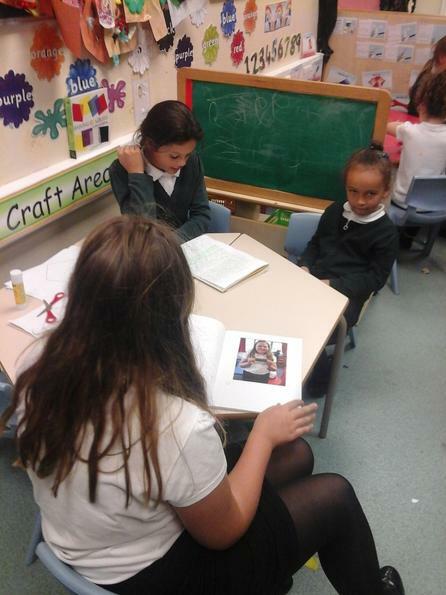 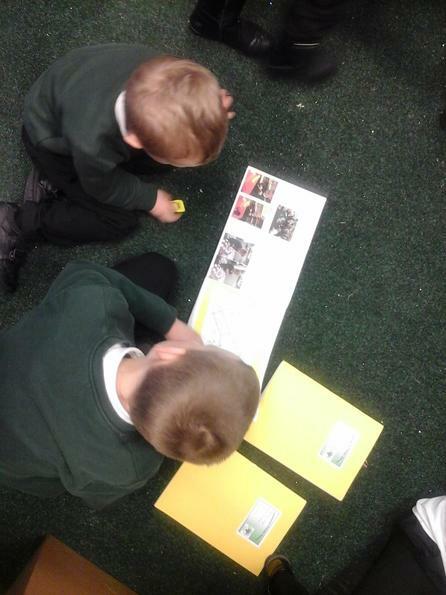 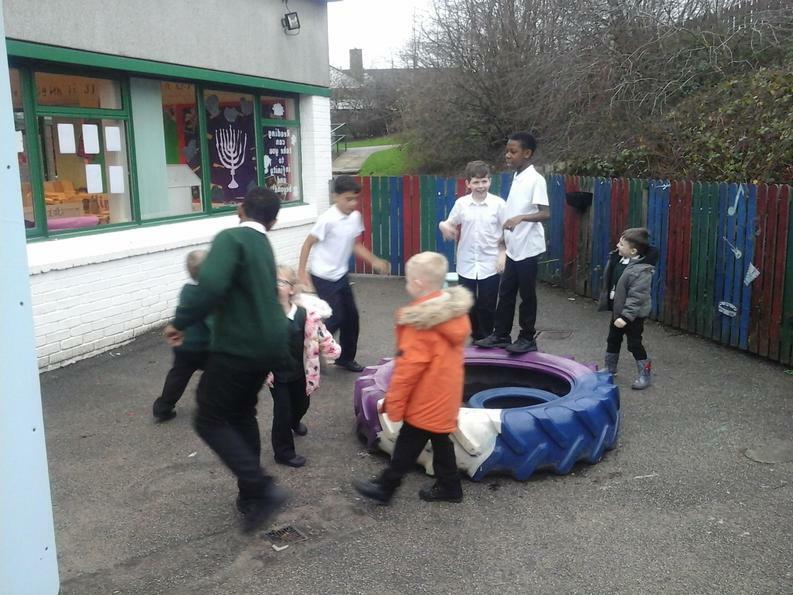 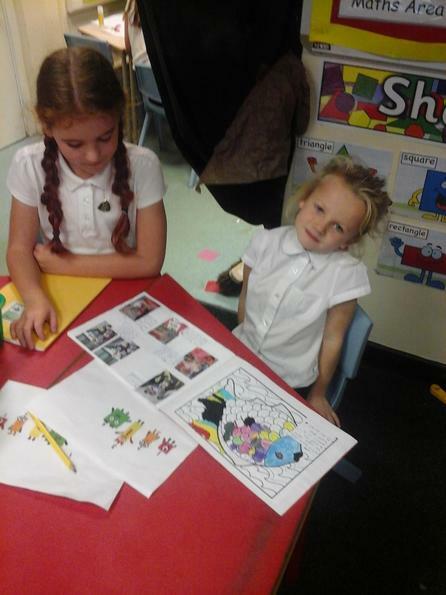 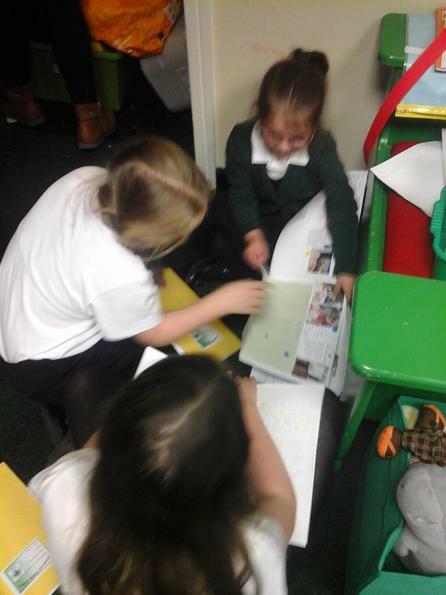 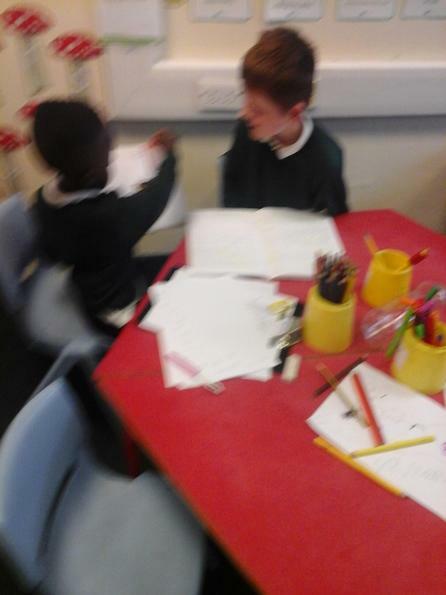 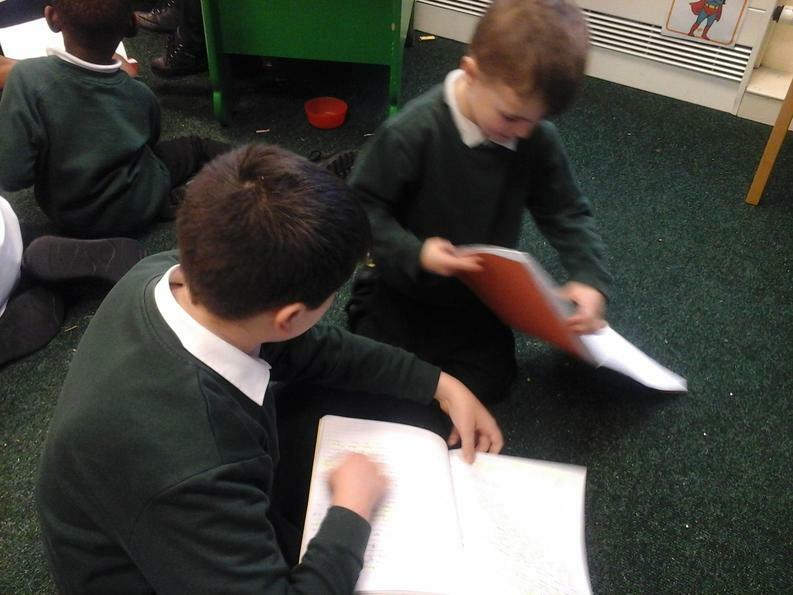 After the children in Willow (who were paired with Ash) had met their Writing Buddies, they wrote letters to the younger ones telling them what a good time they had had and asking them a question. 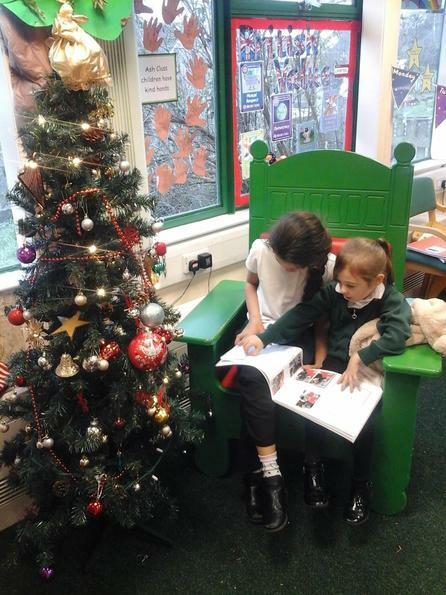 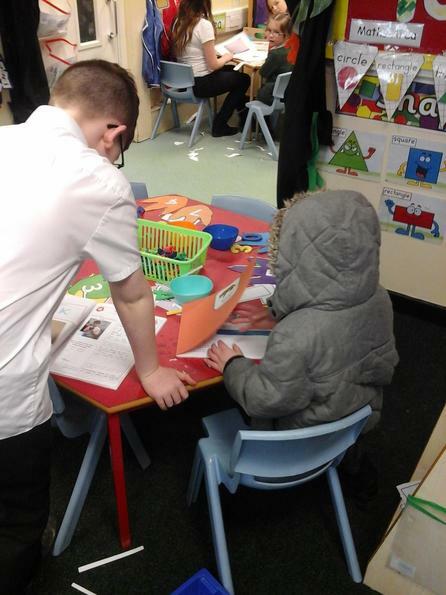 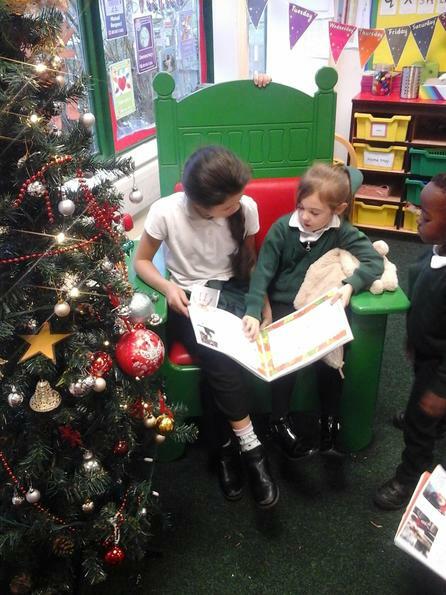 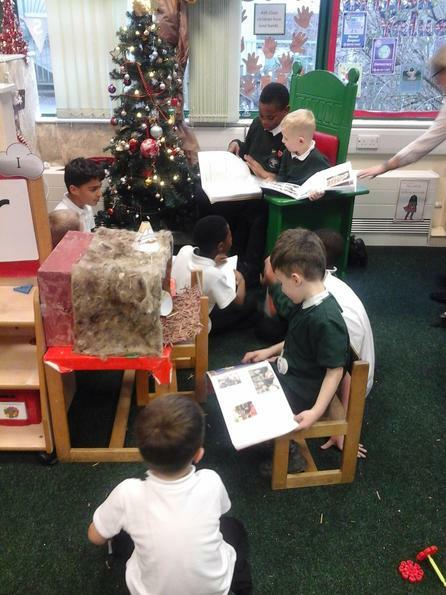 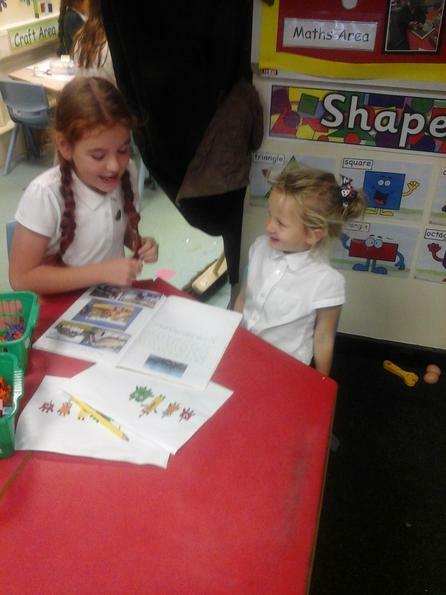 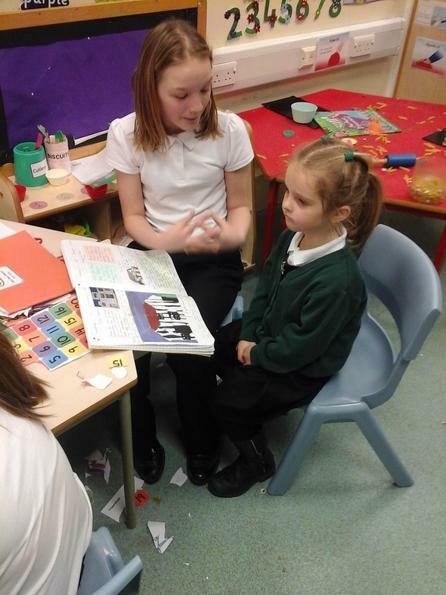 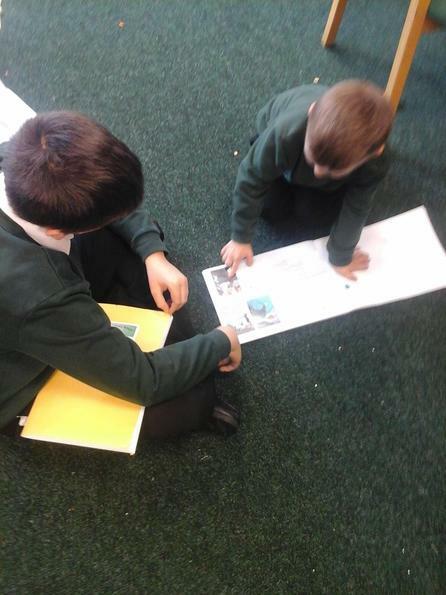 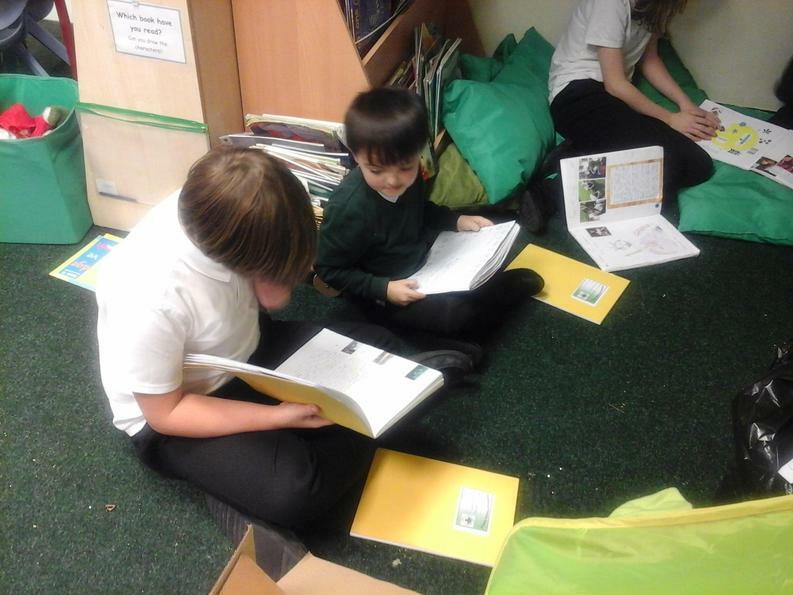 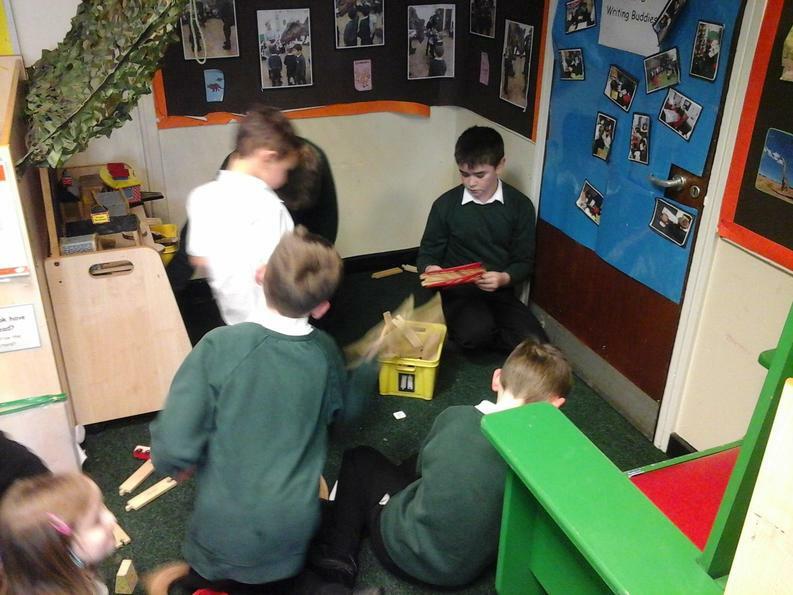 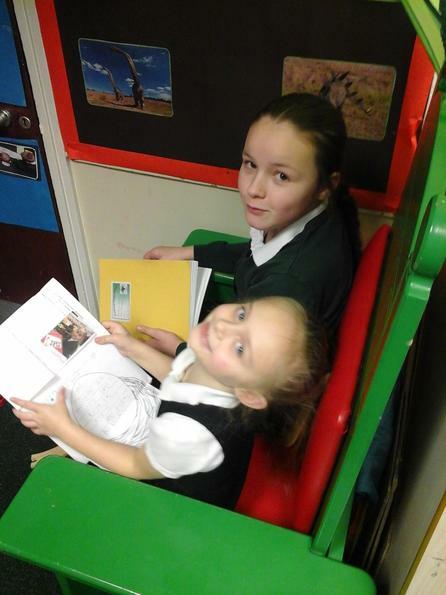 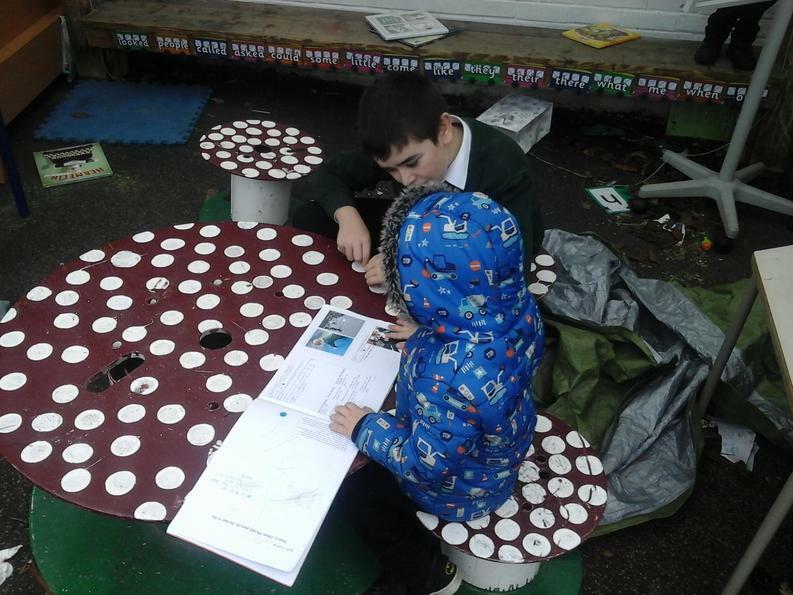 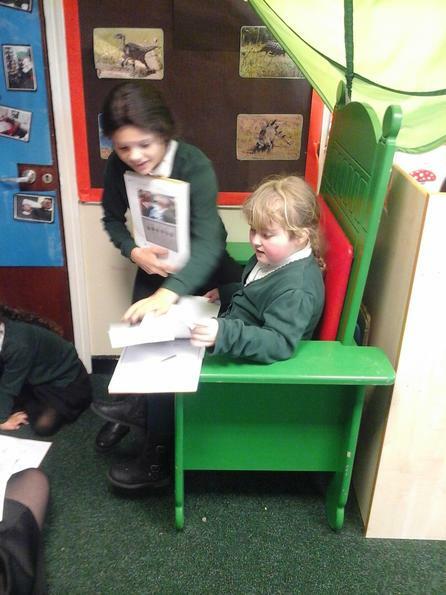 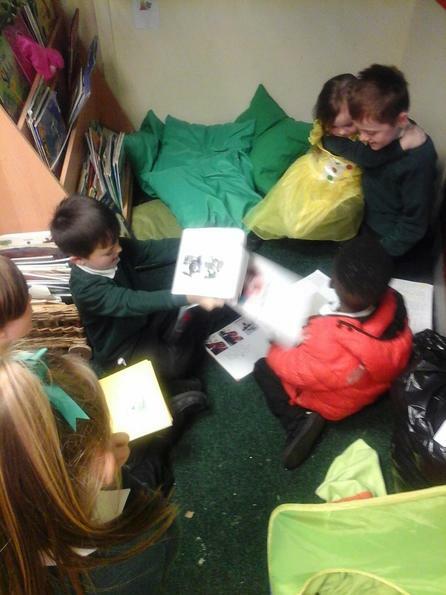 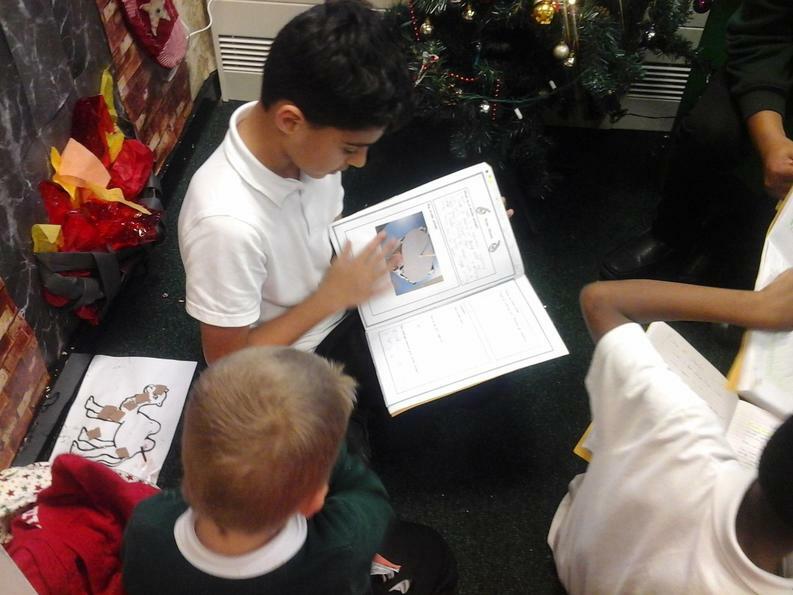 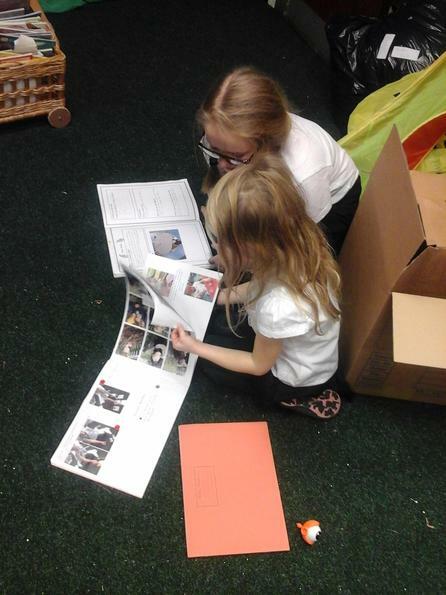 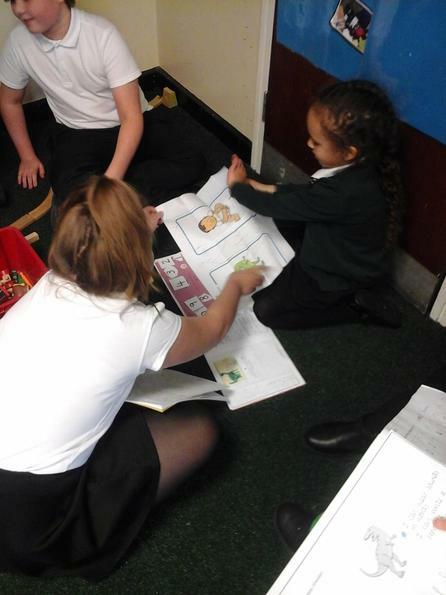 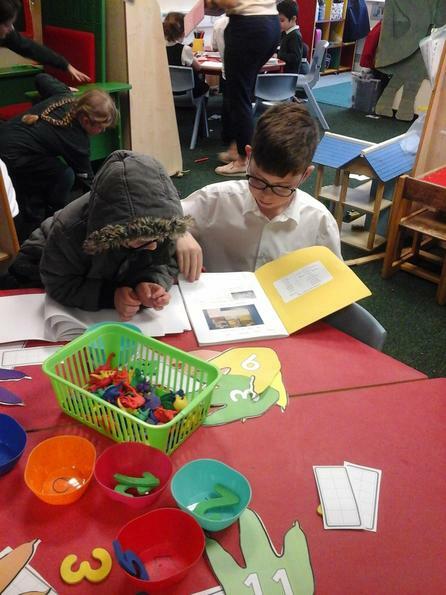 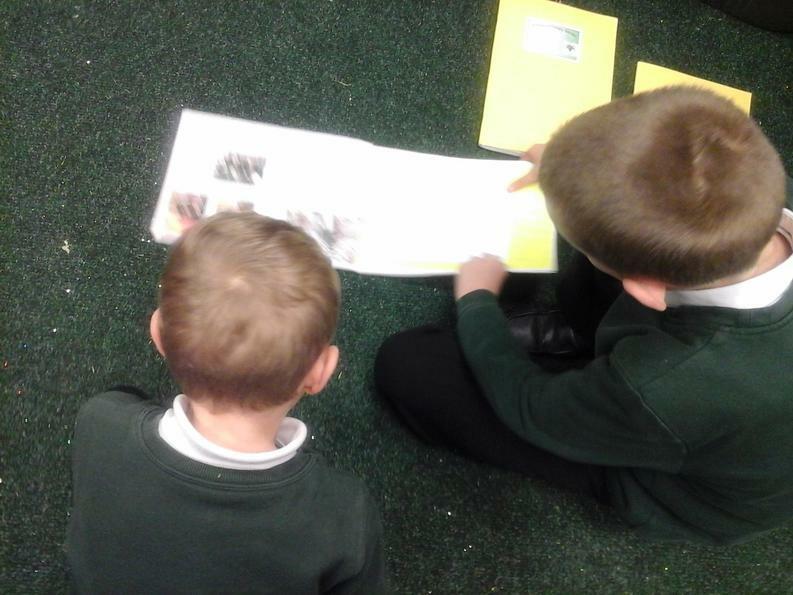 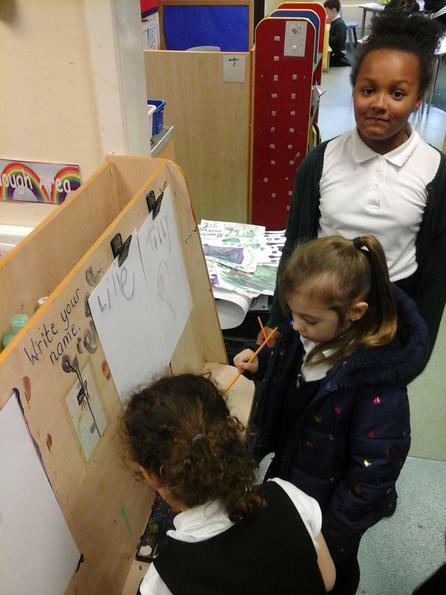 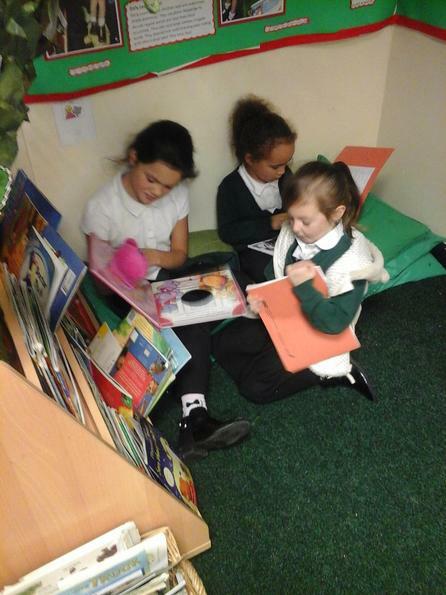 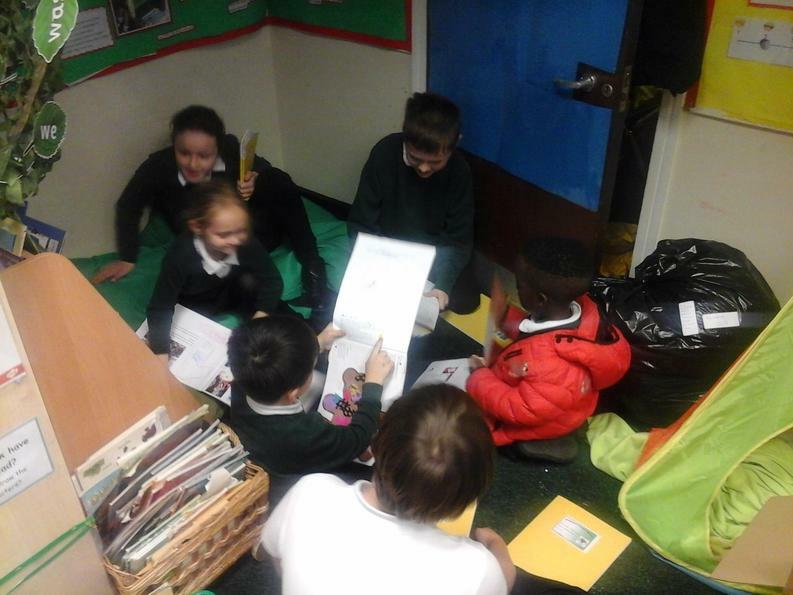 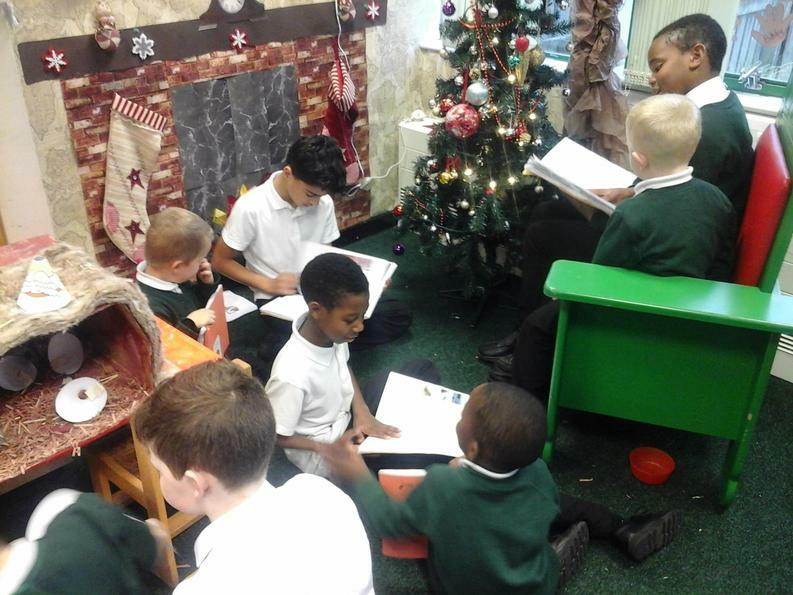 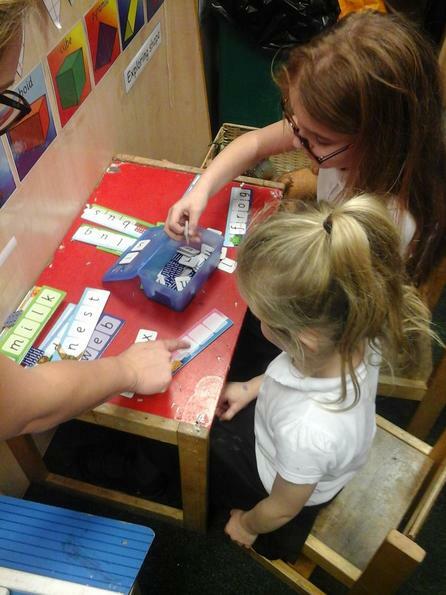 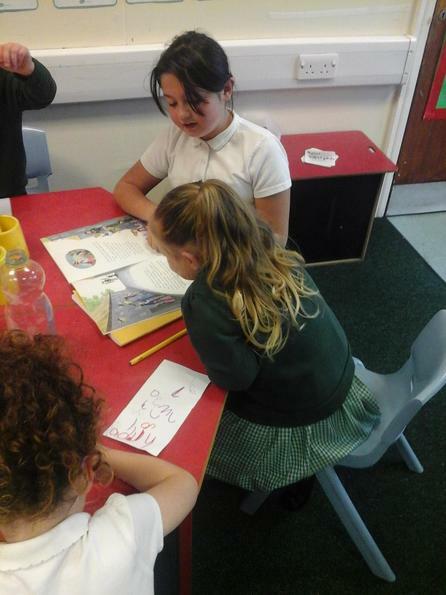 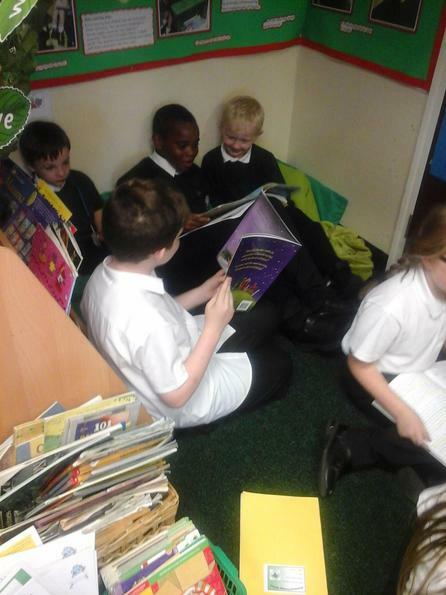 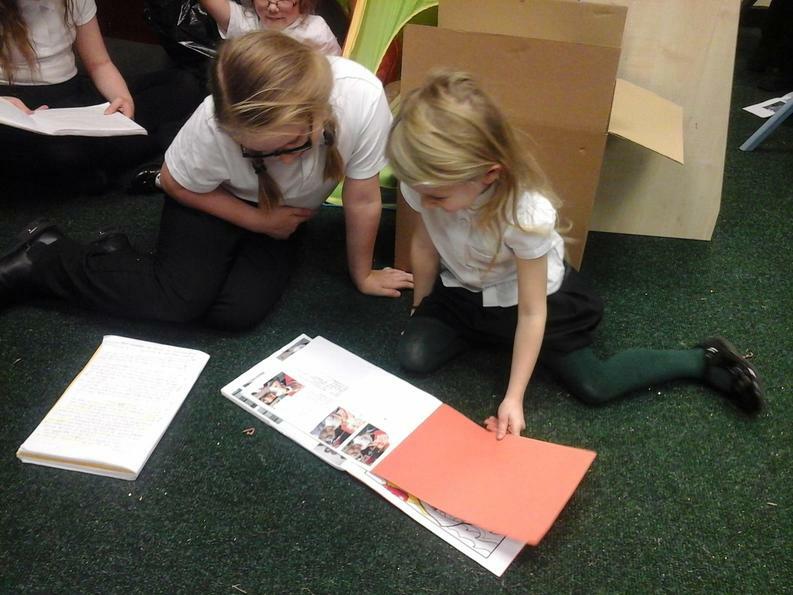 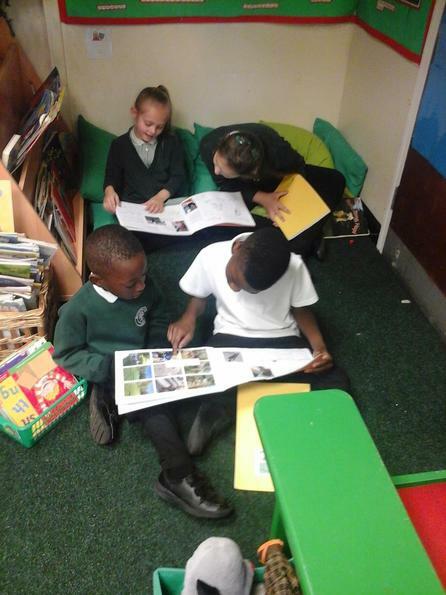 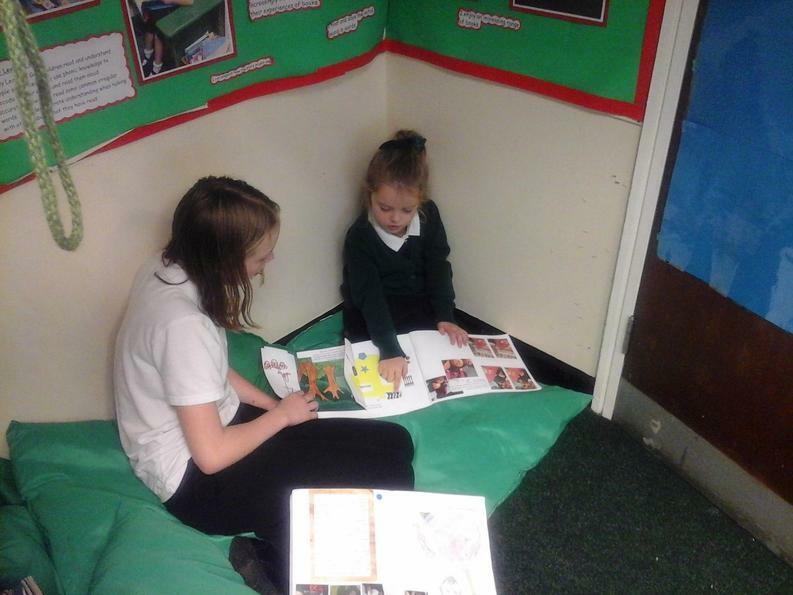 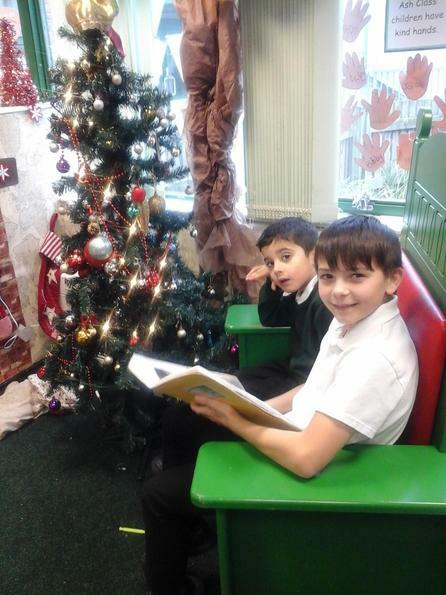 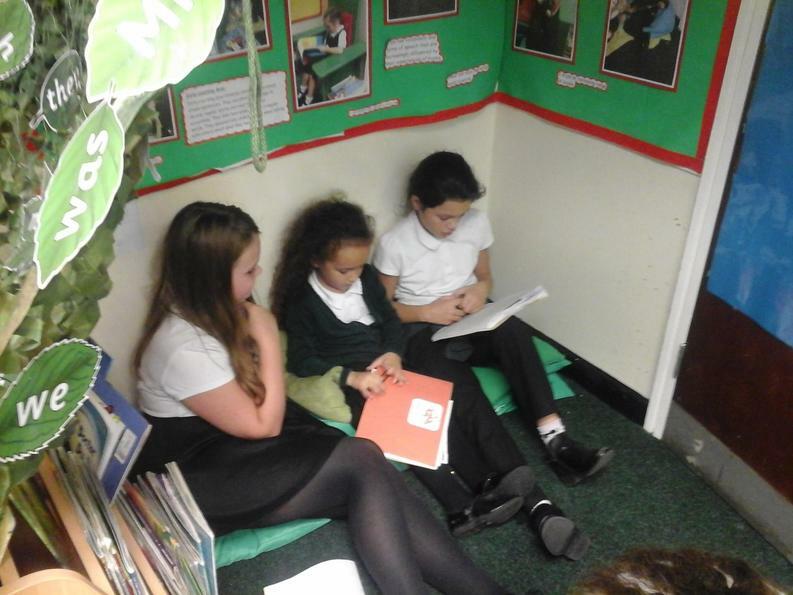 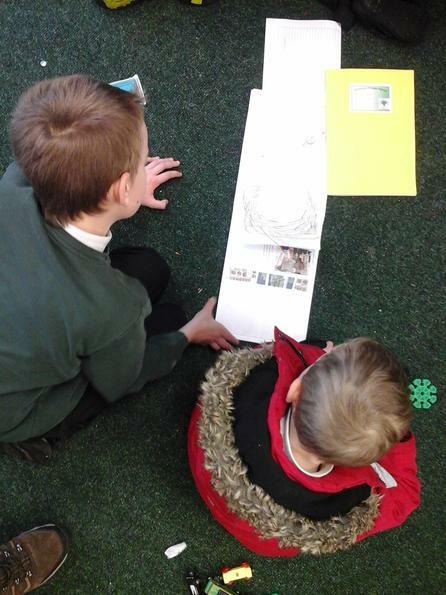 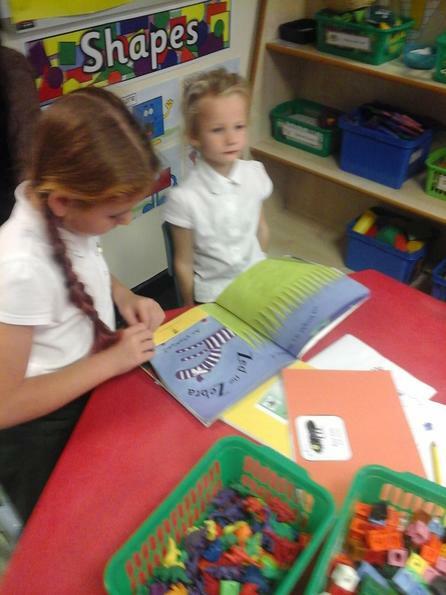 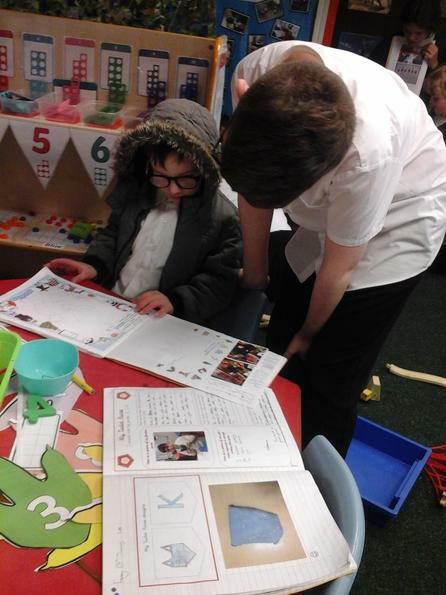 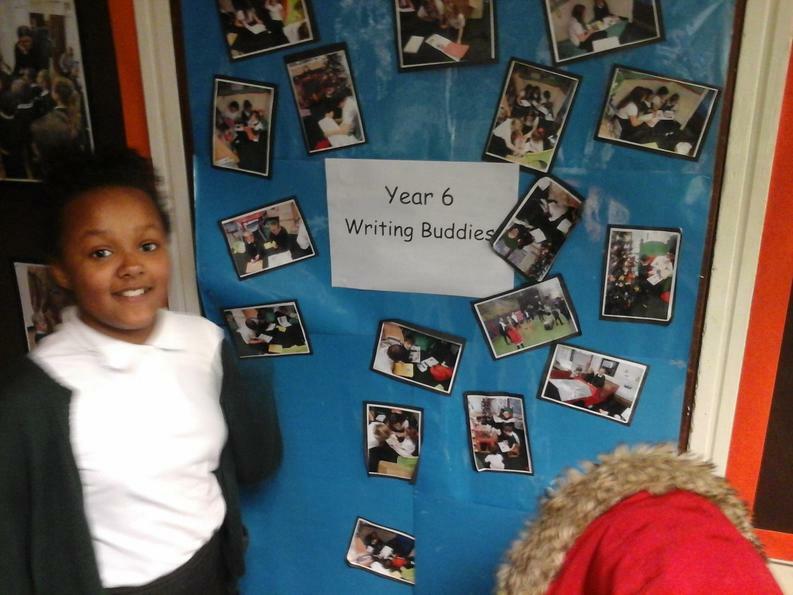 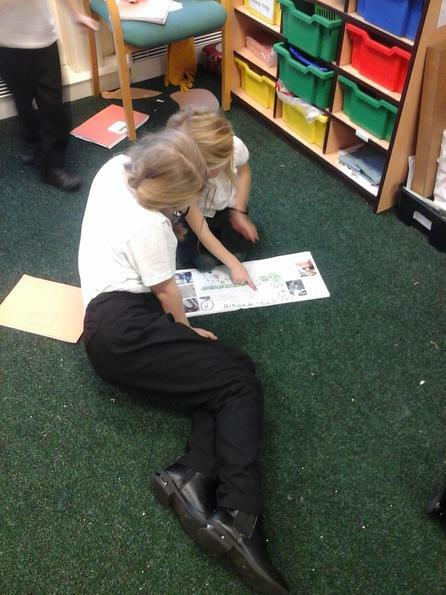 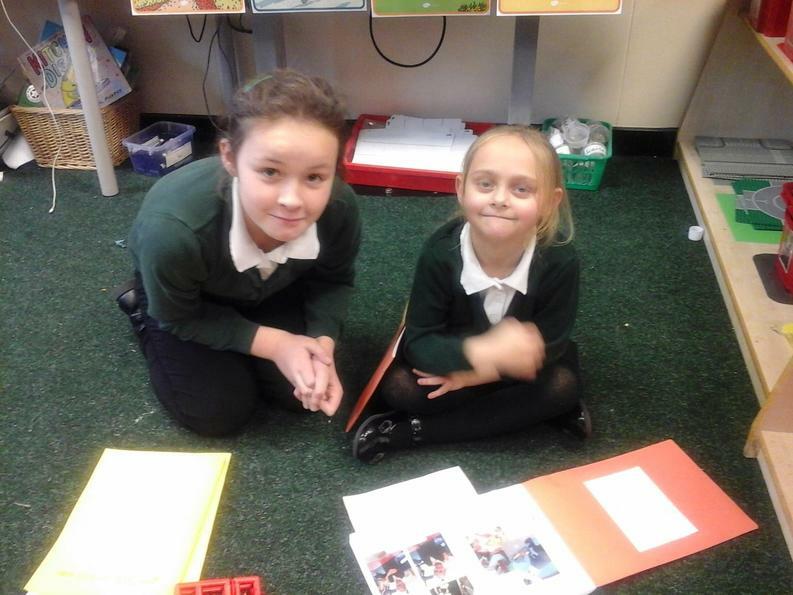 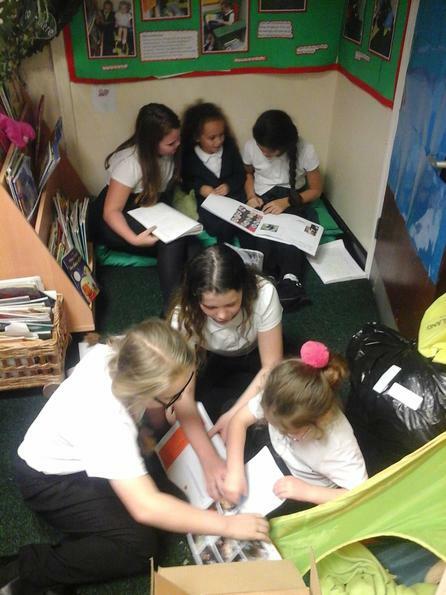 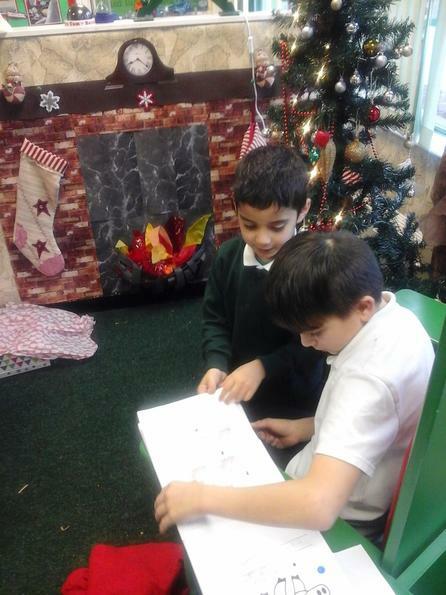 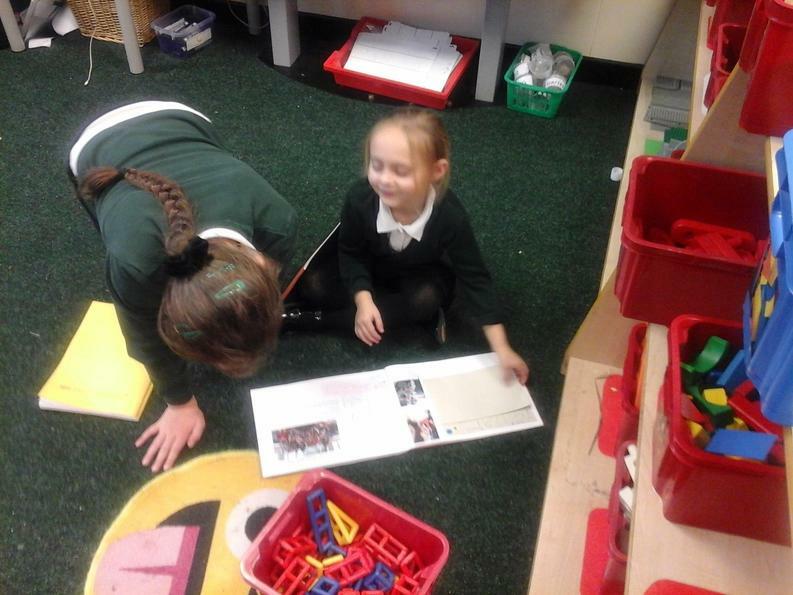 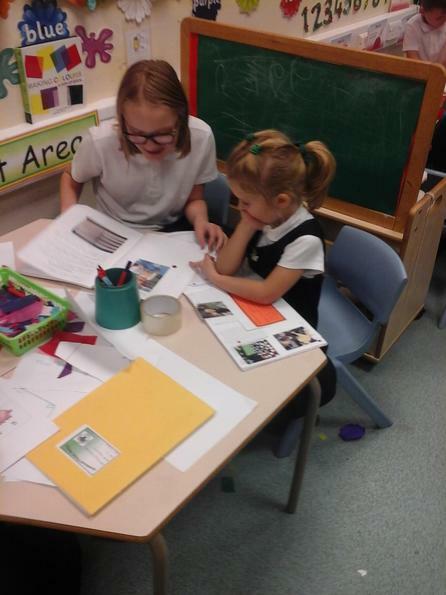 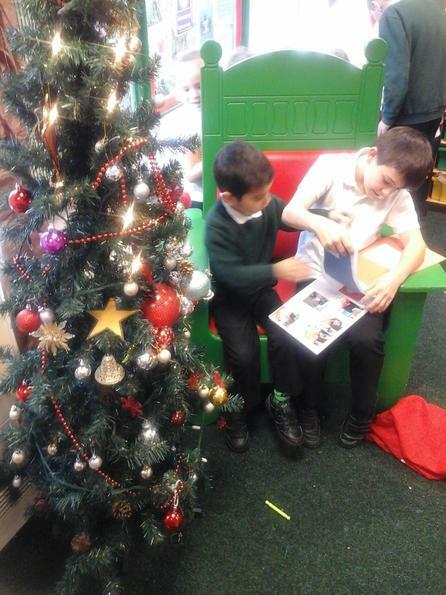 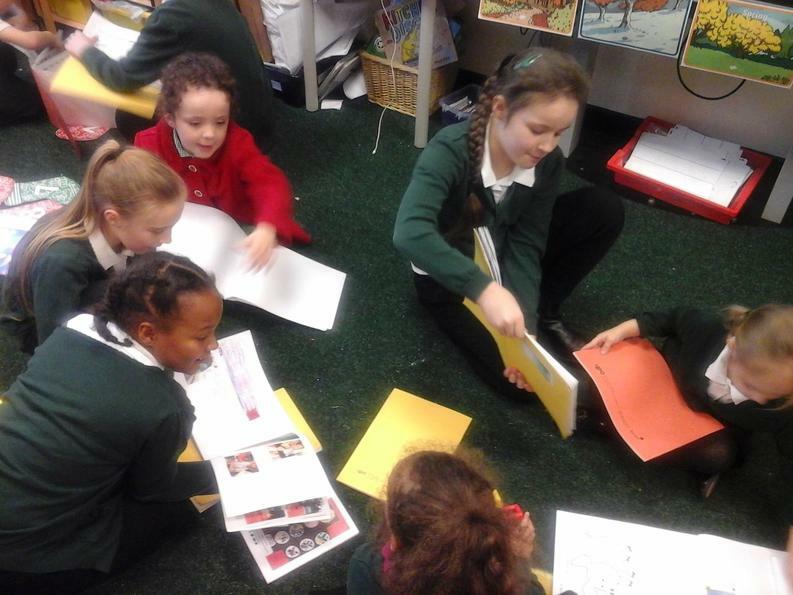 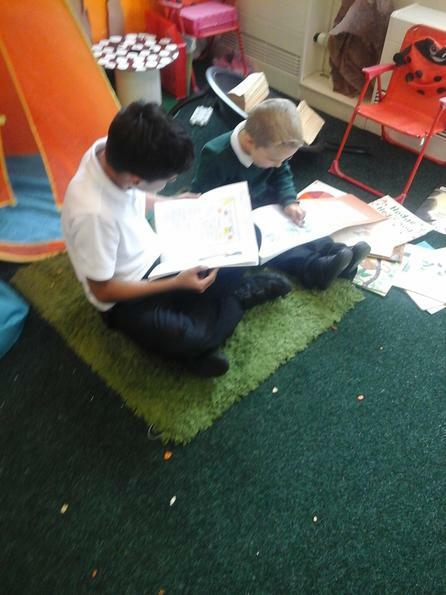 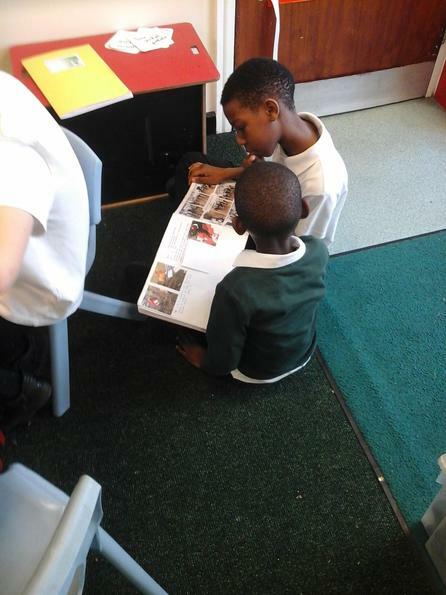 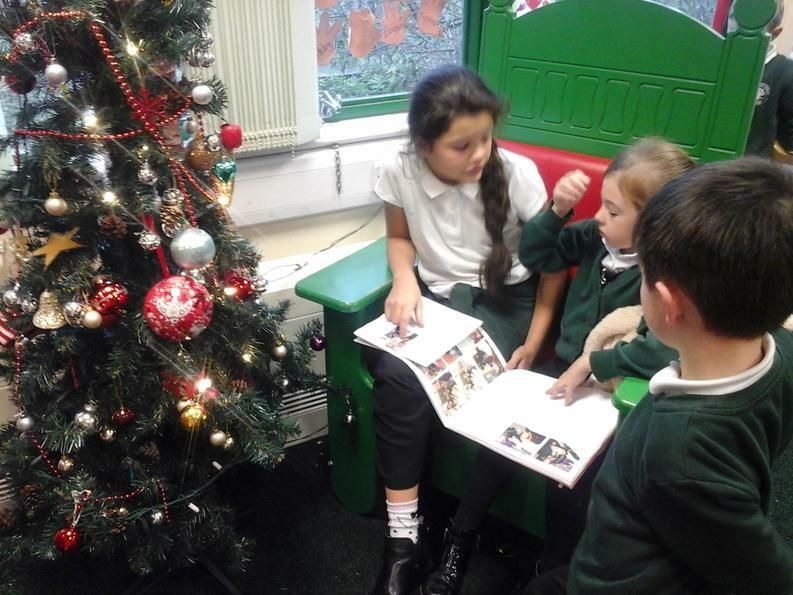 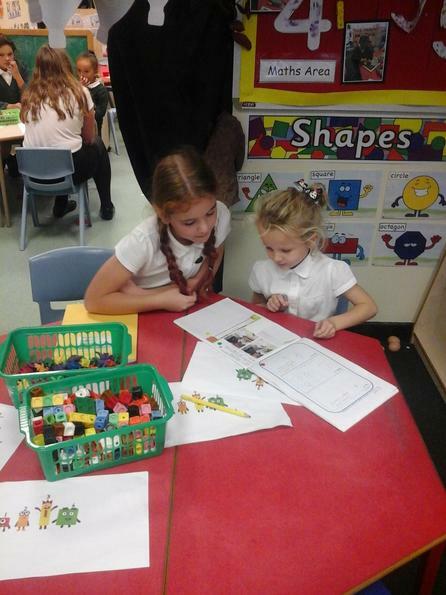 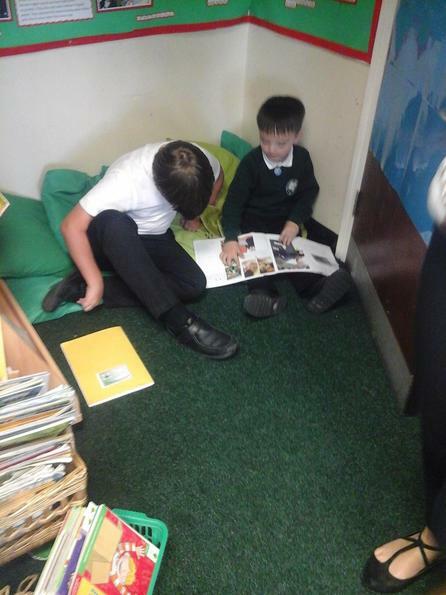 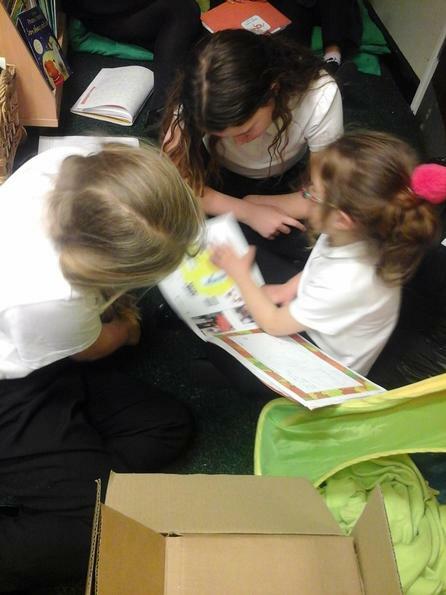 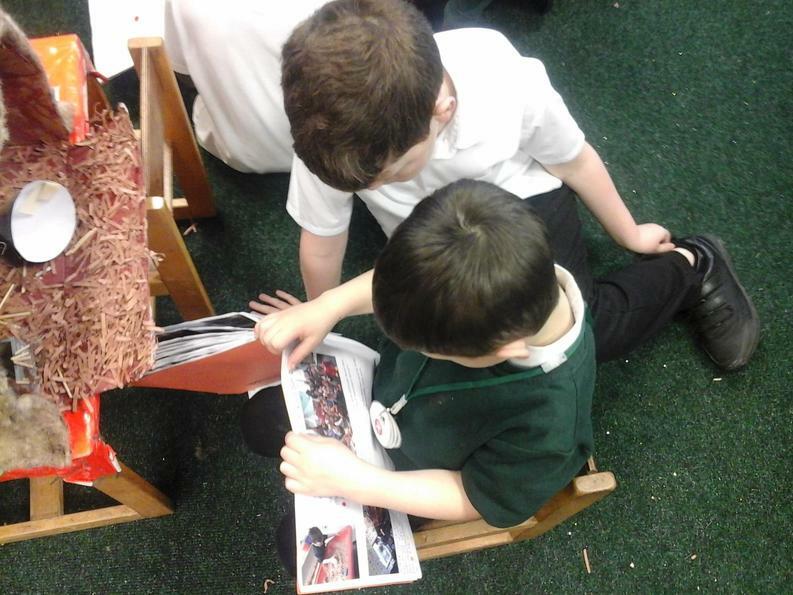 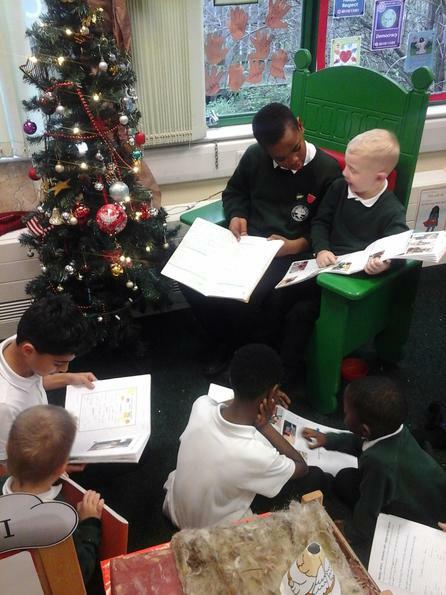 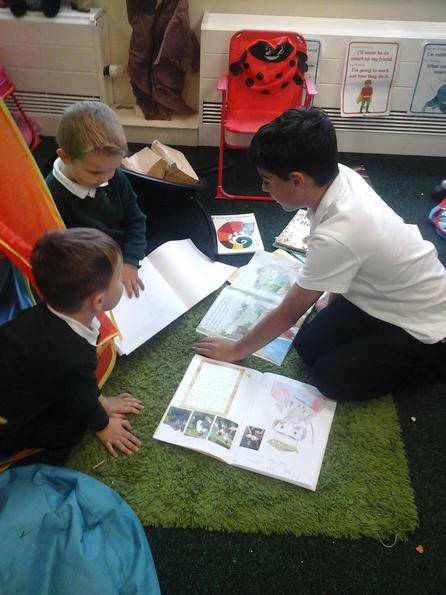 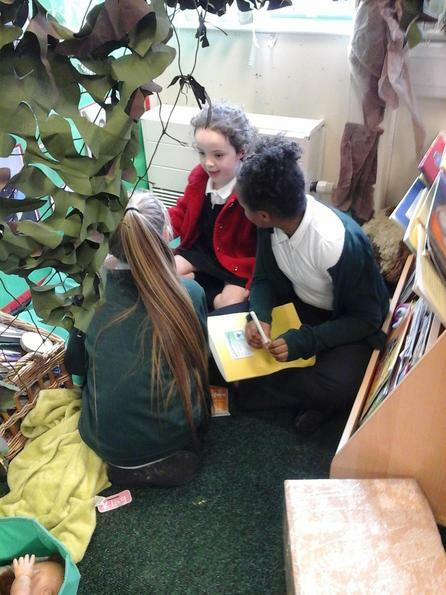 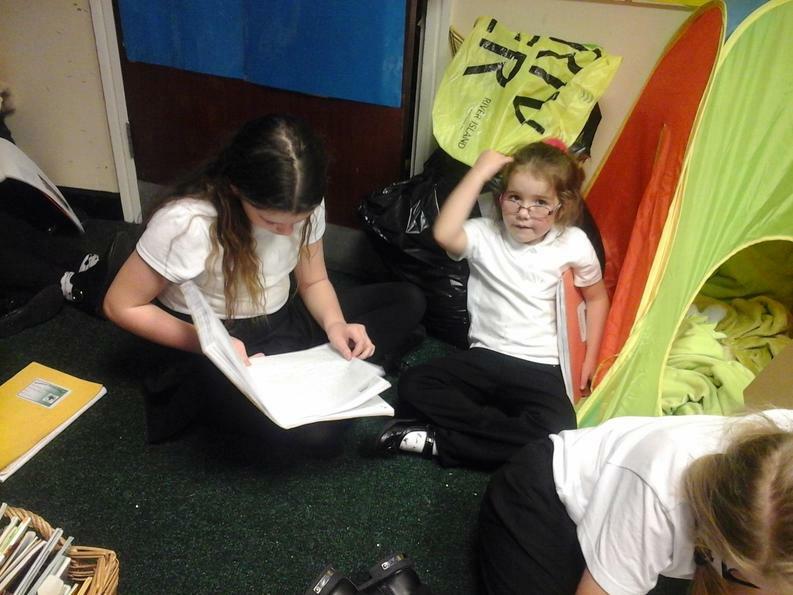 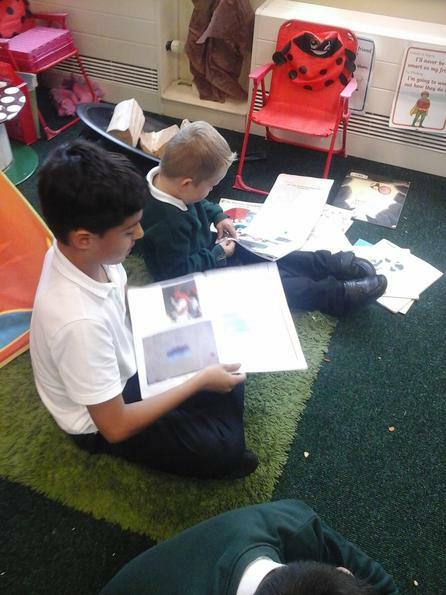 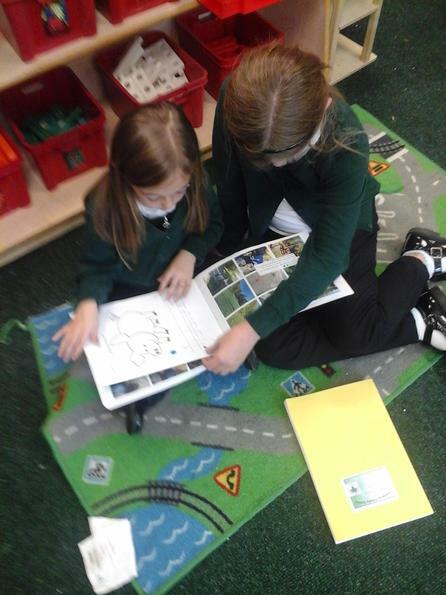 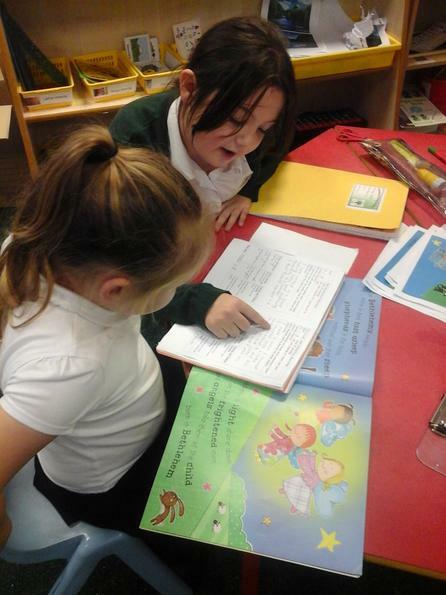 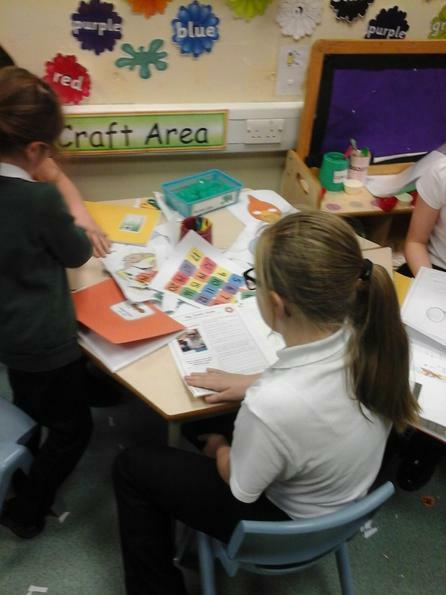 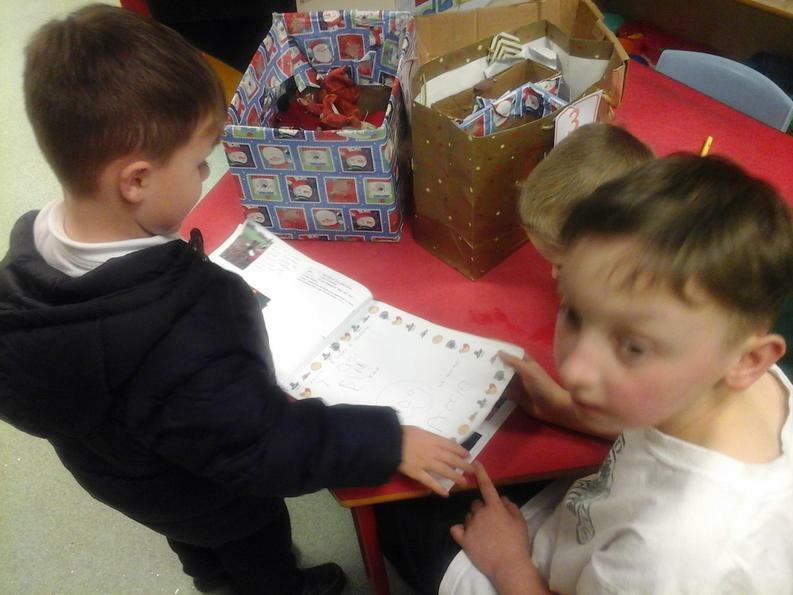 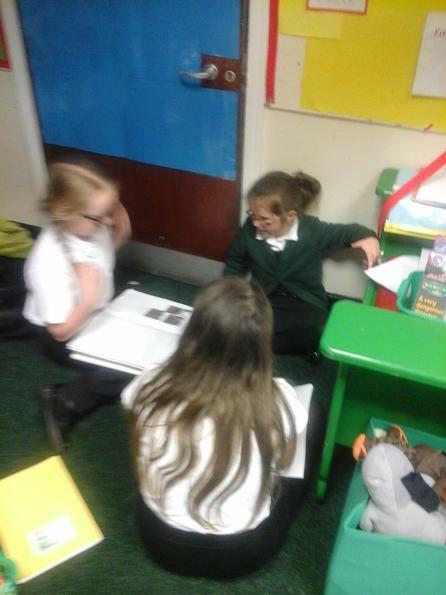 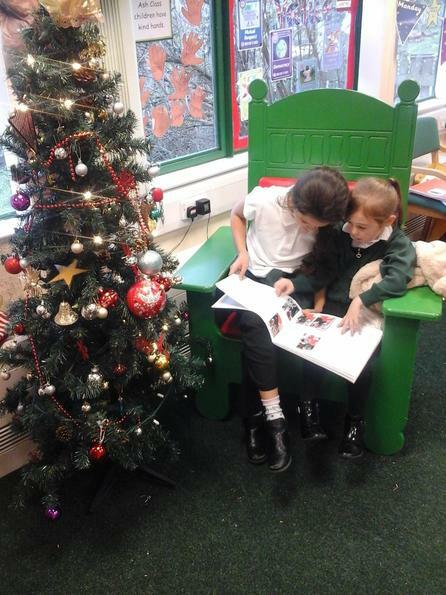 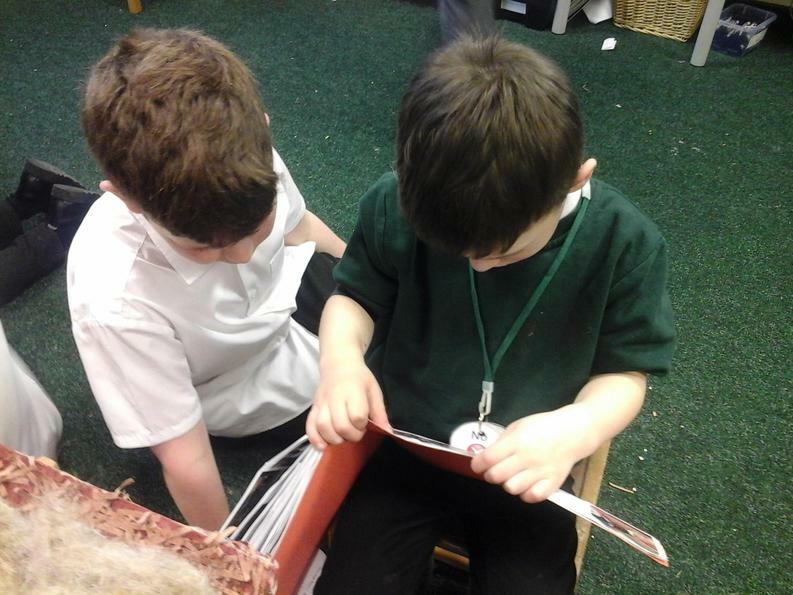 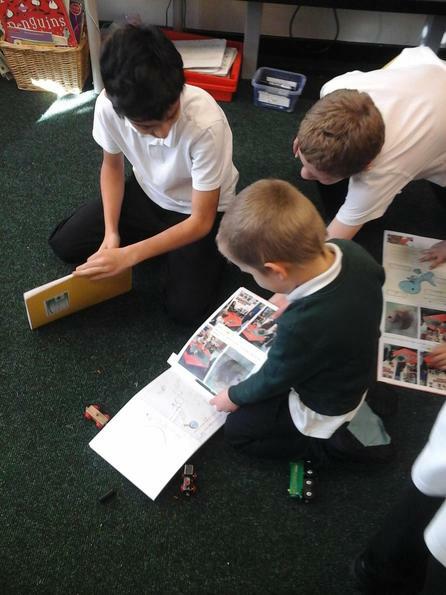 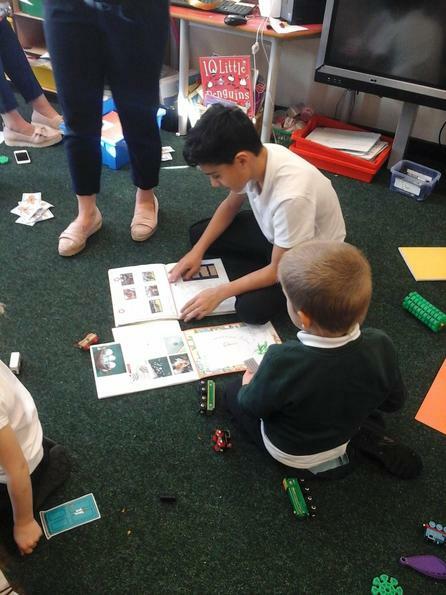 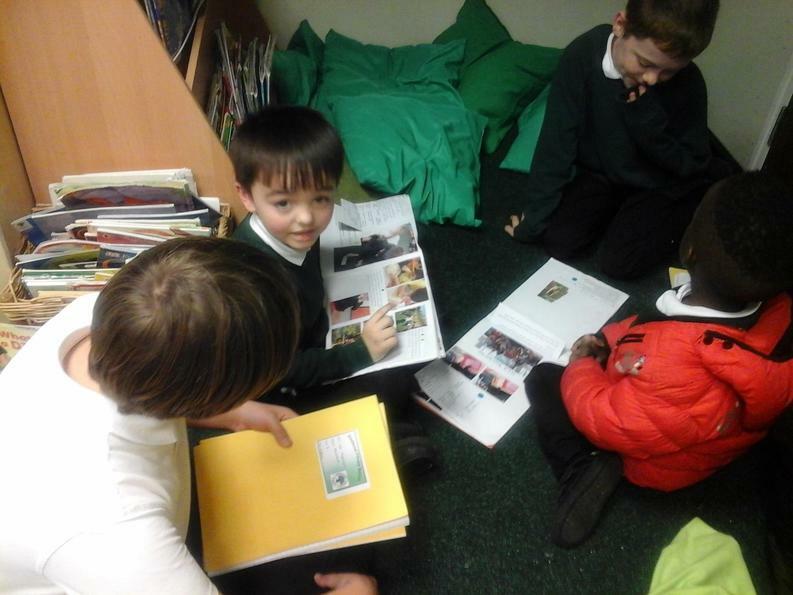 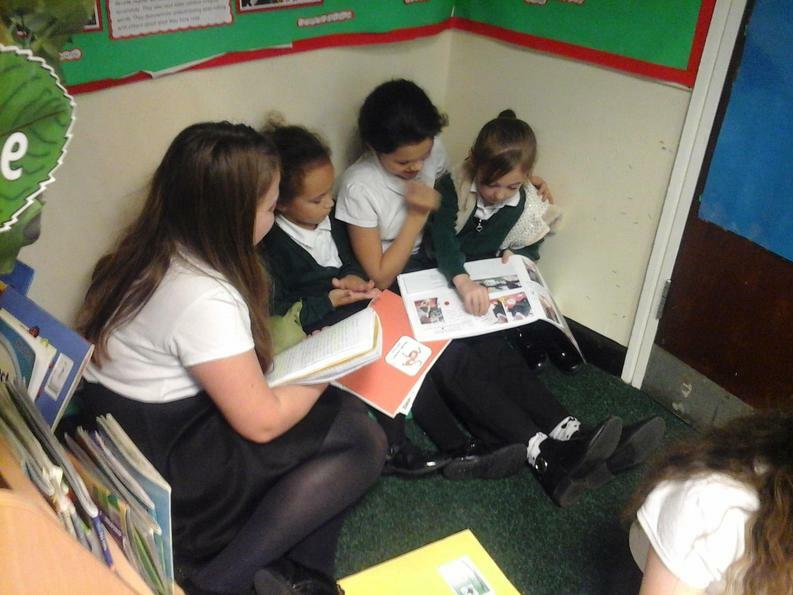 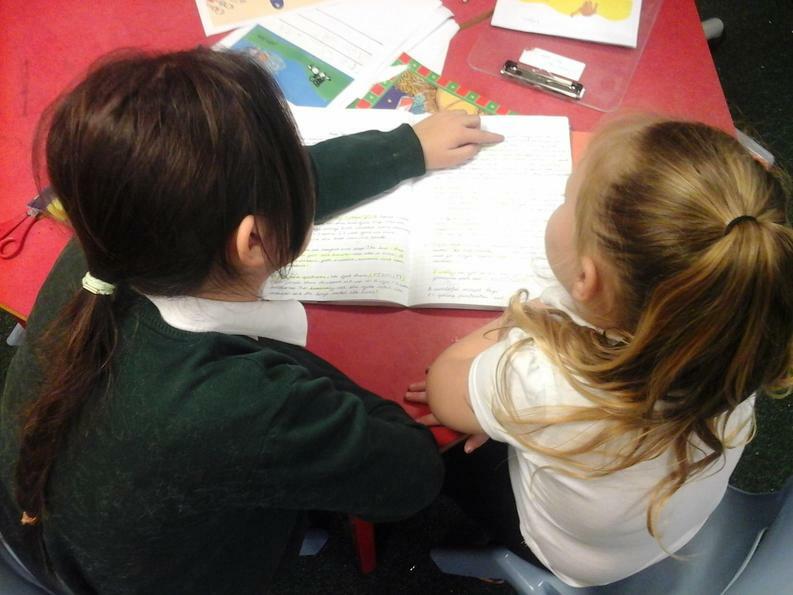 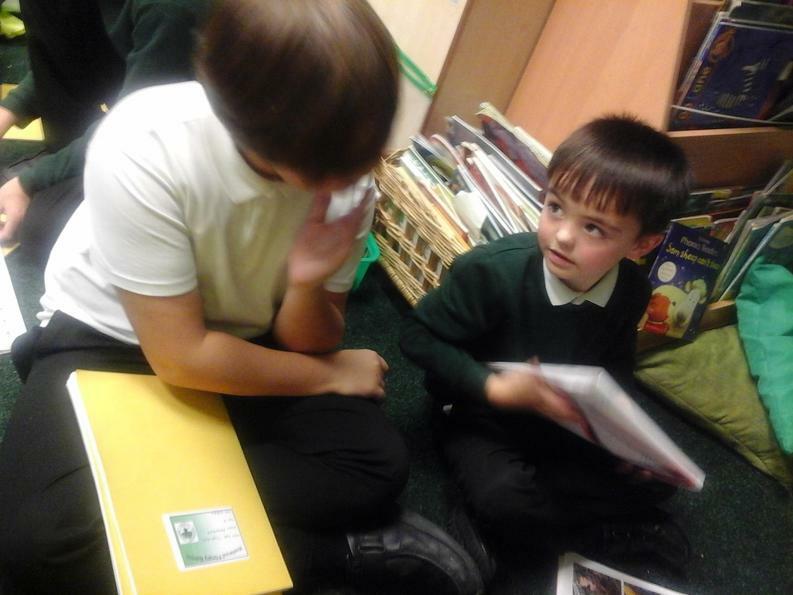 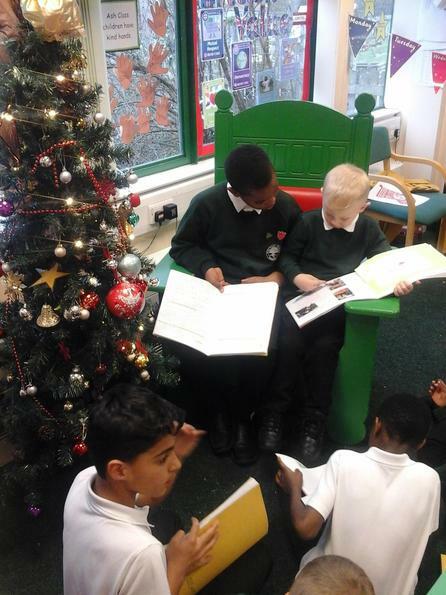 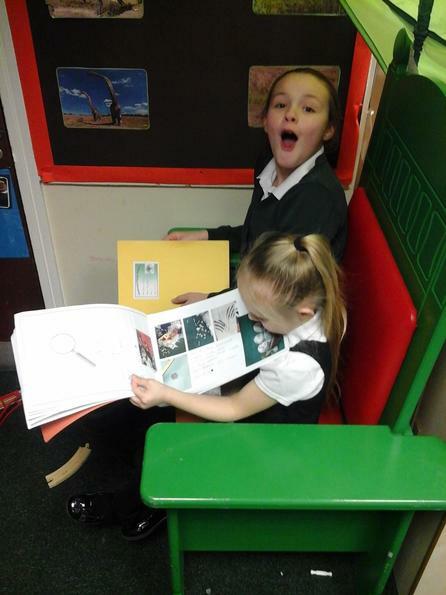 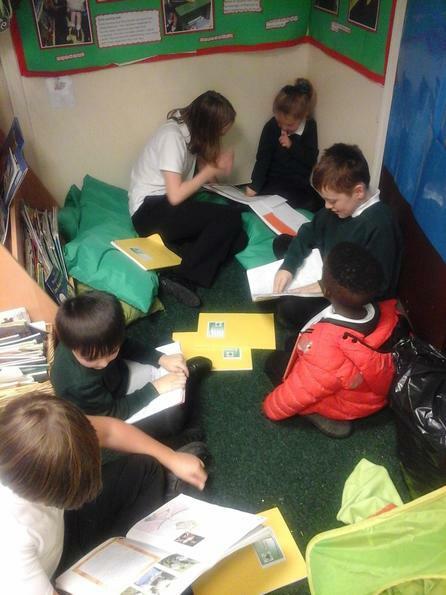 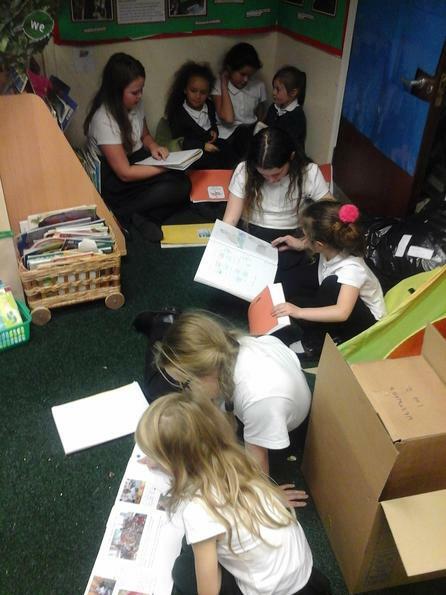 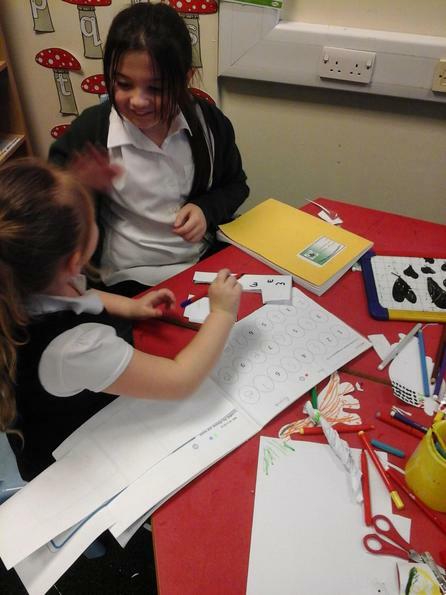 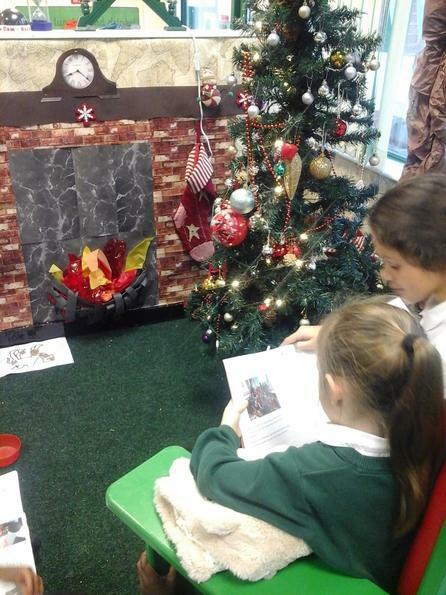 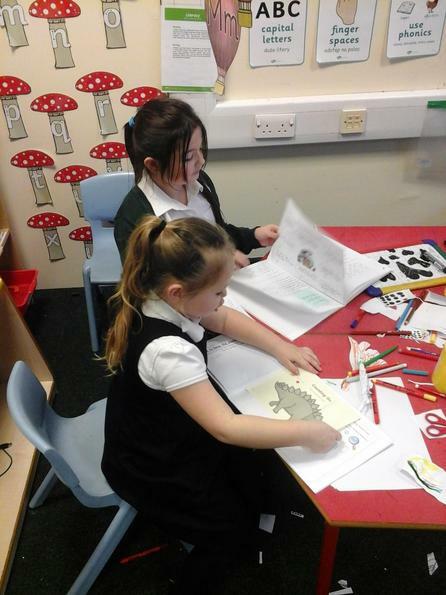 Just before we broke up for Christmas, Willow once again got to spend some time with their writing buddies.Taking their adventure books with them, the children showed their work to their partners even reading them some of the incredible things they had written. 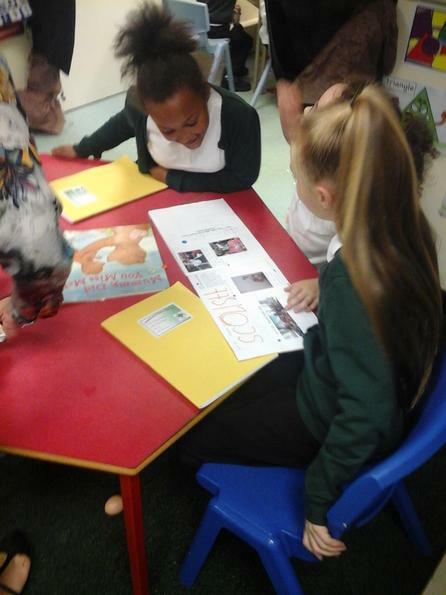 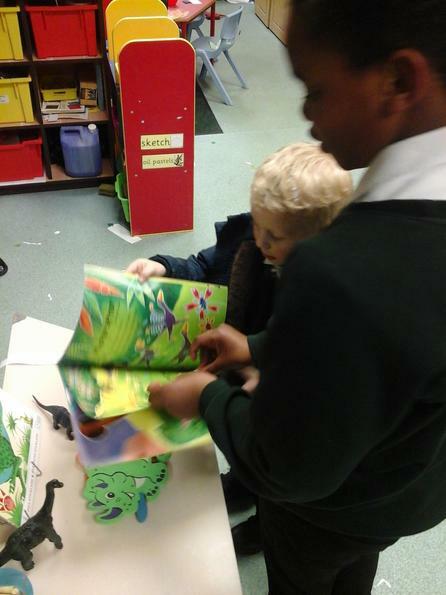 In return, the children from Ash showed us their books. 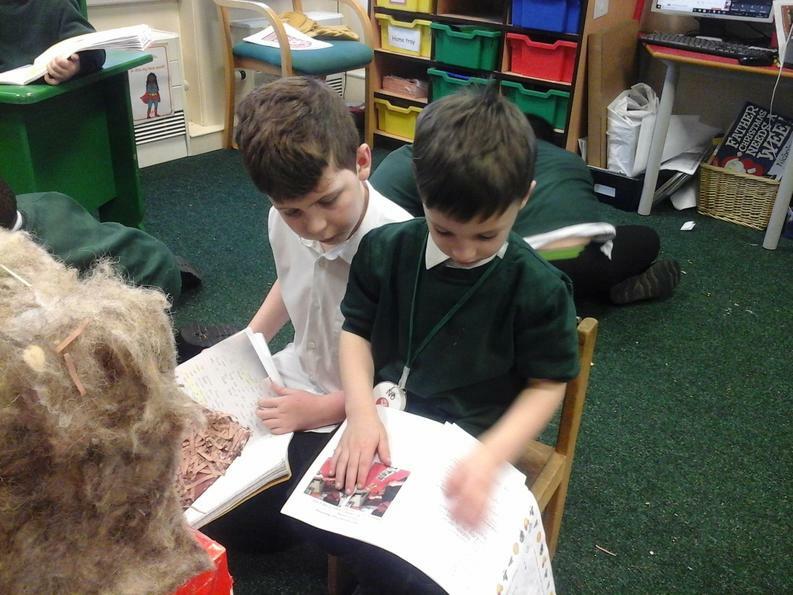 Just before the end of the Spring 1 term, Willow once again headed down to reception to see their buddies and tell them everything we had learned about the Tudors. 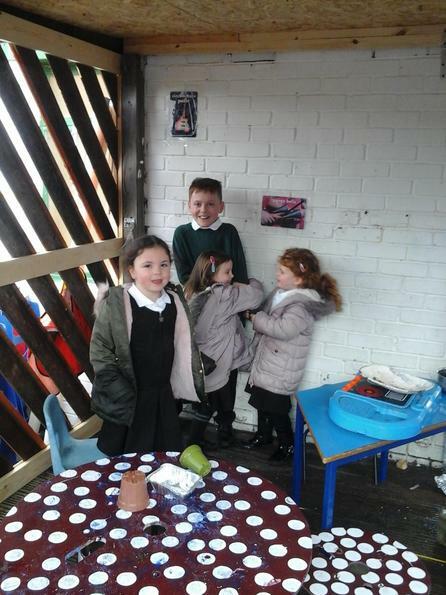 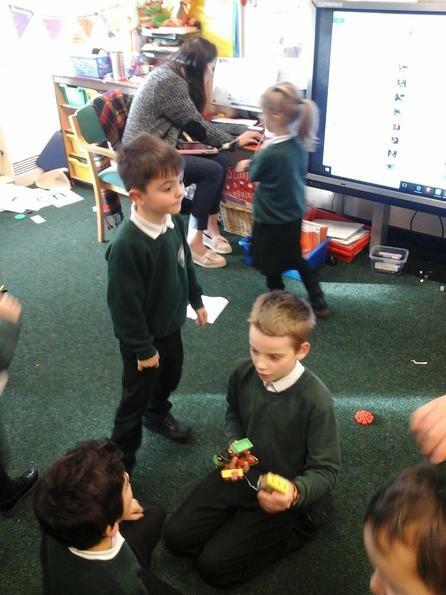 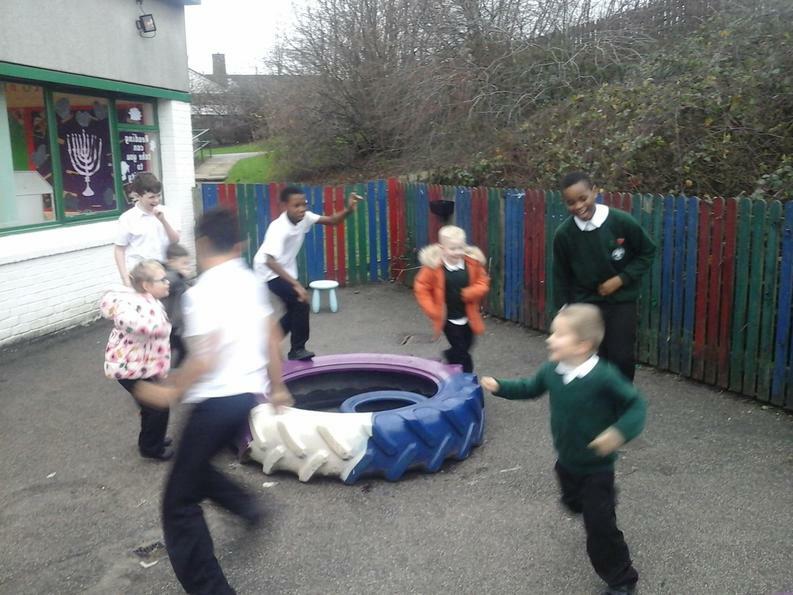 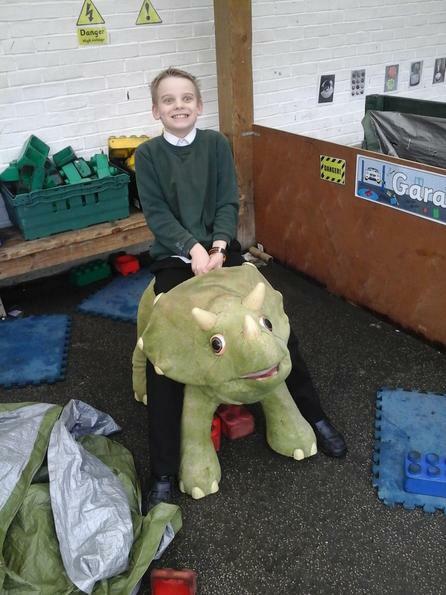 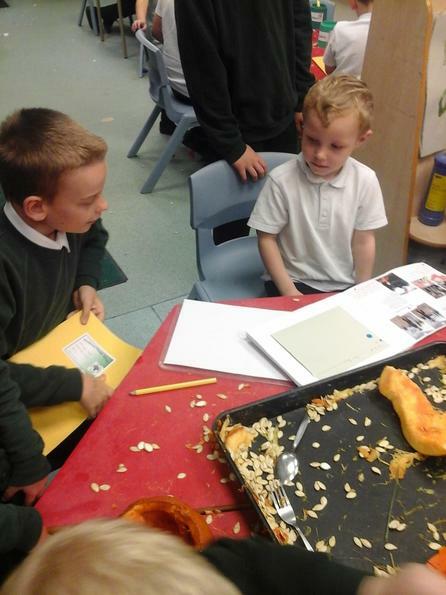 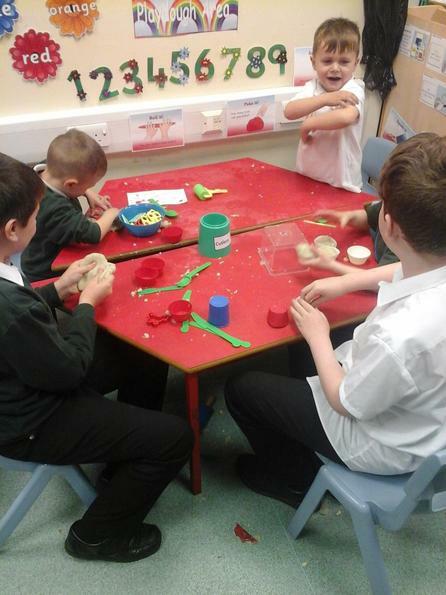 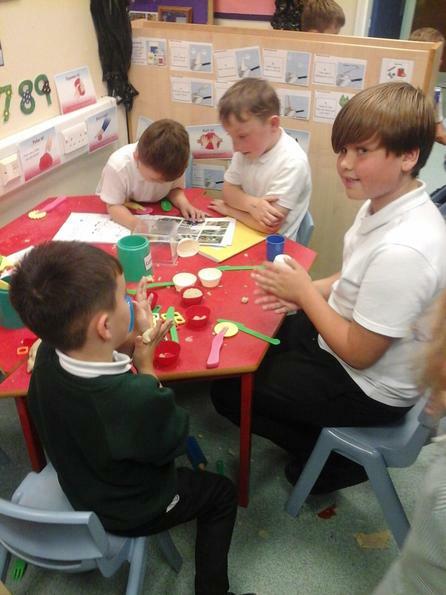 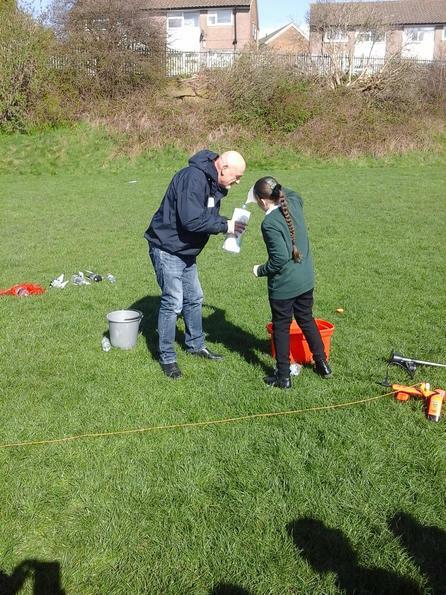 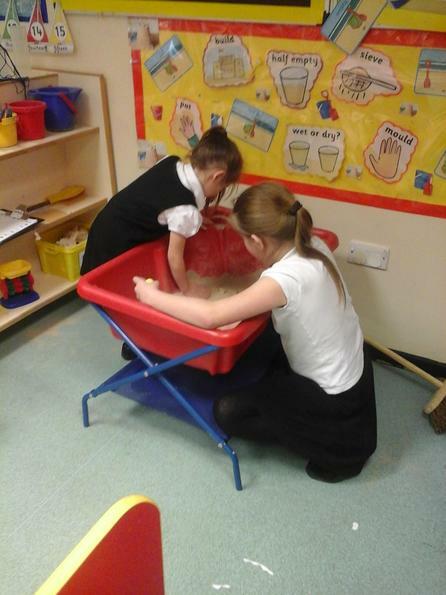 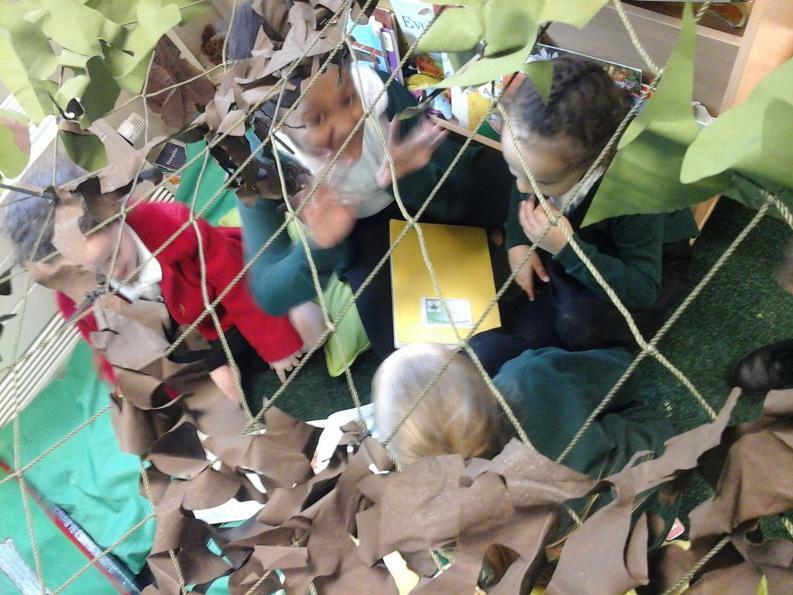 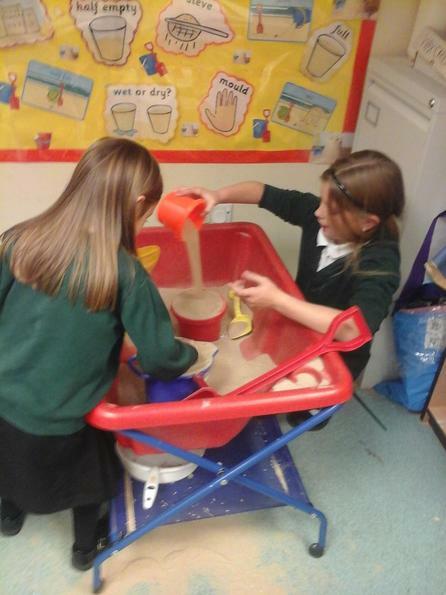 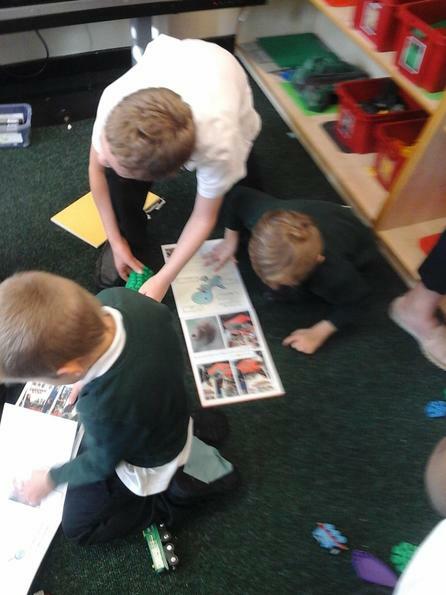 In return, they told us all about the dinosaur egg they had found! 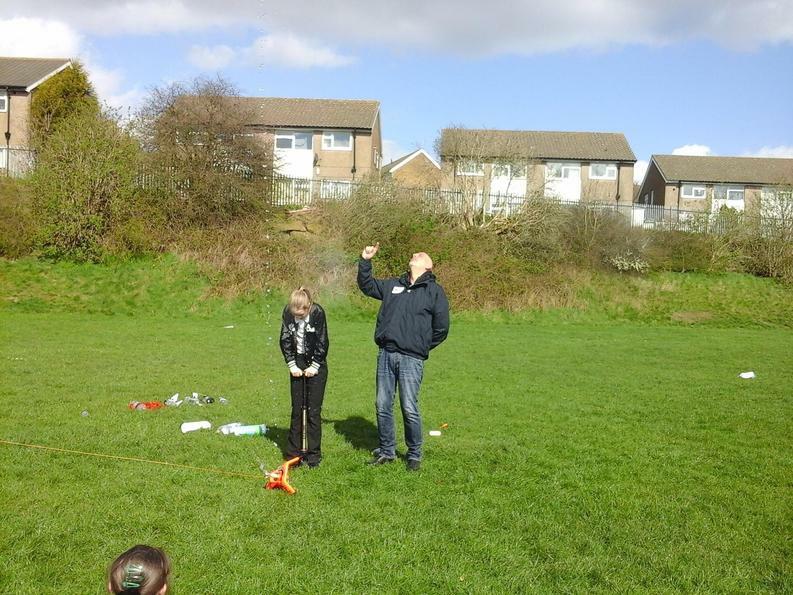 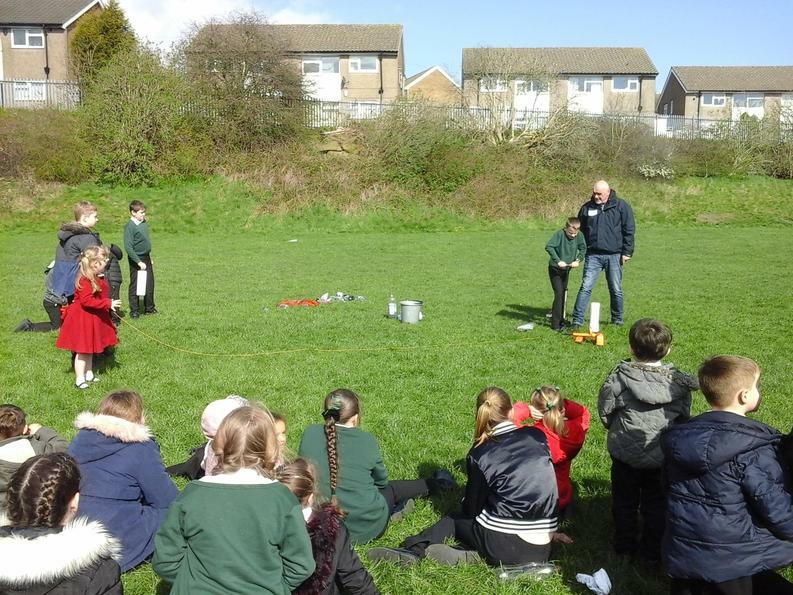 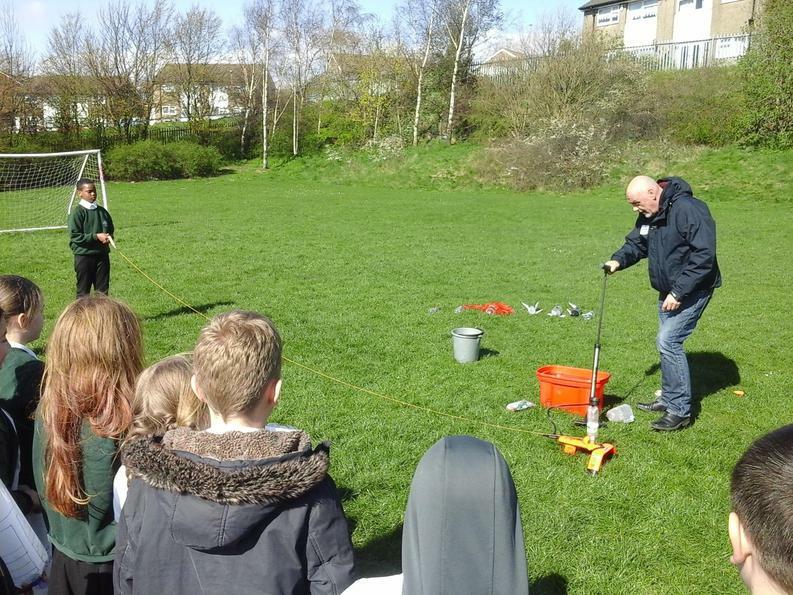 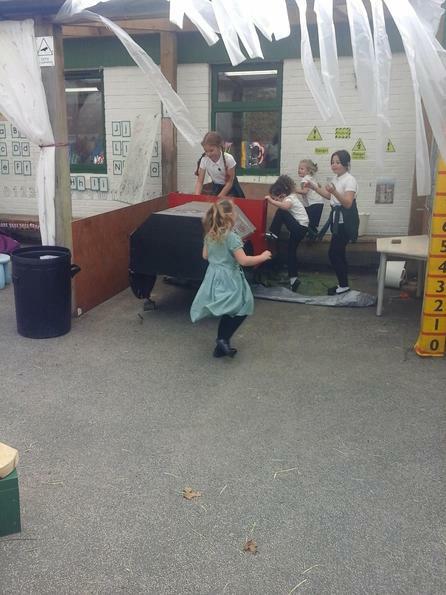 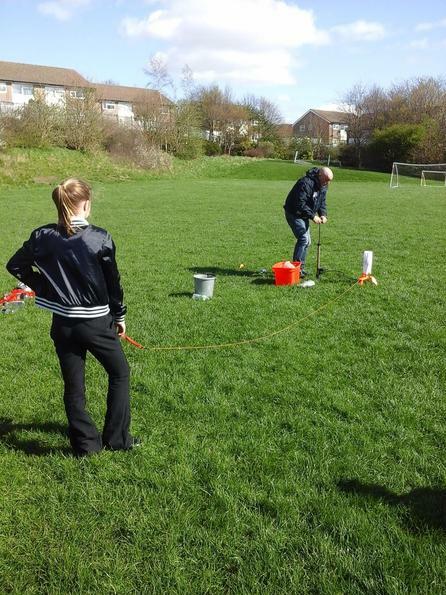 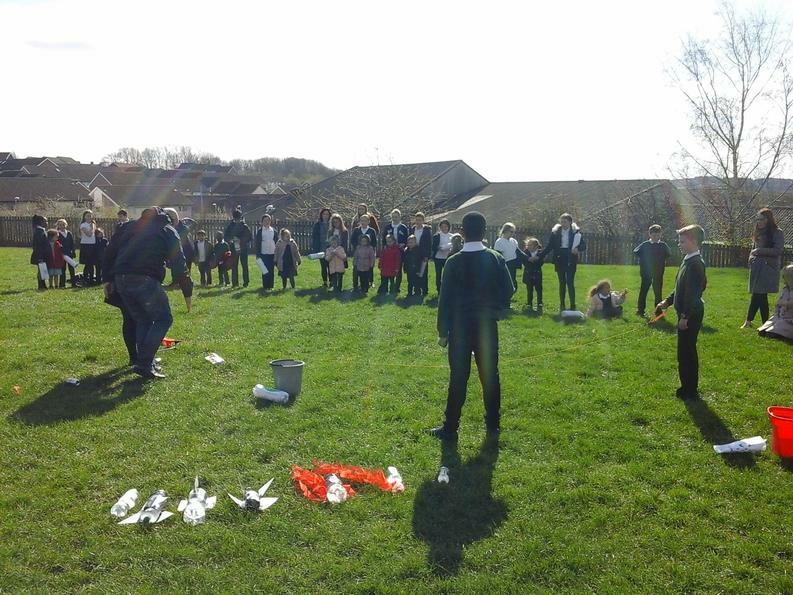 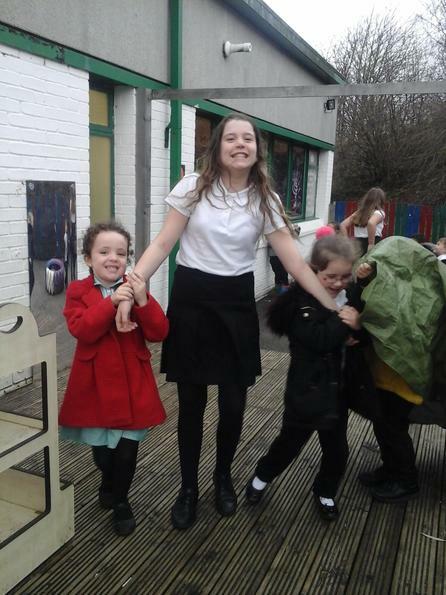 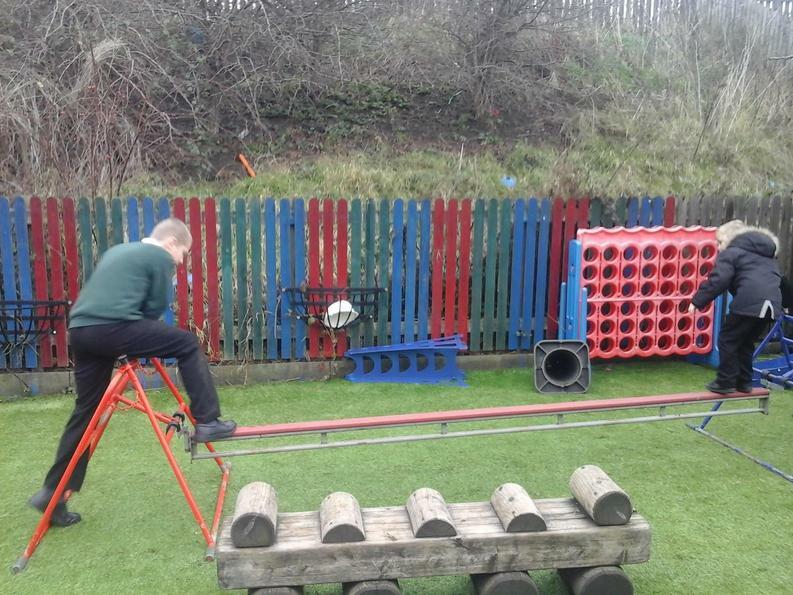 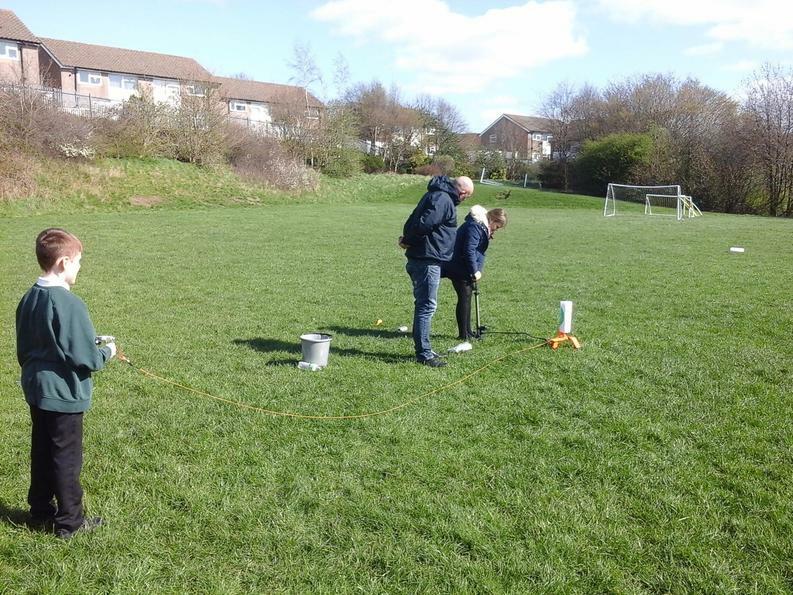 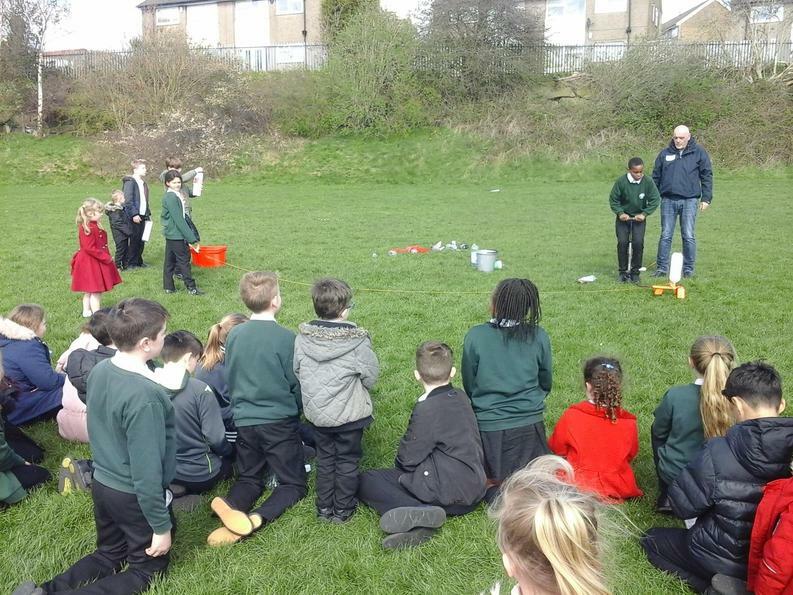 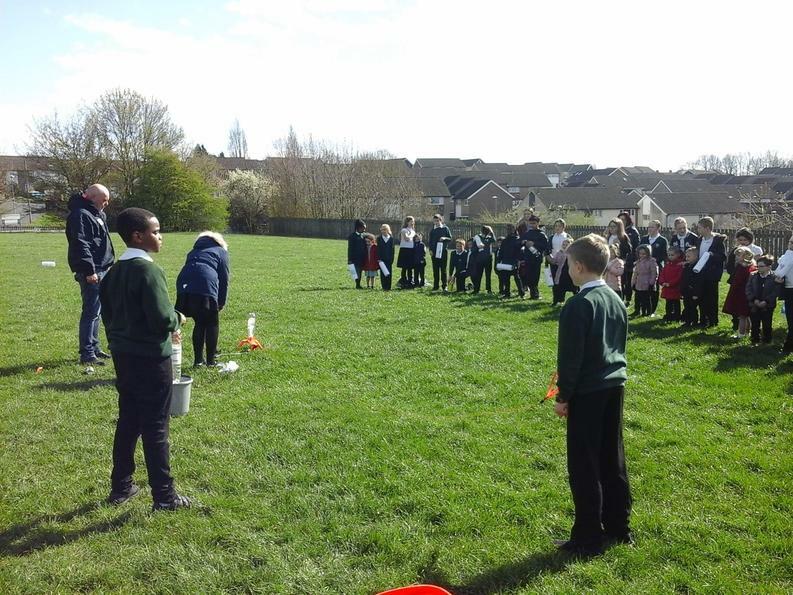 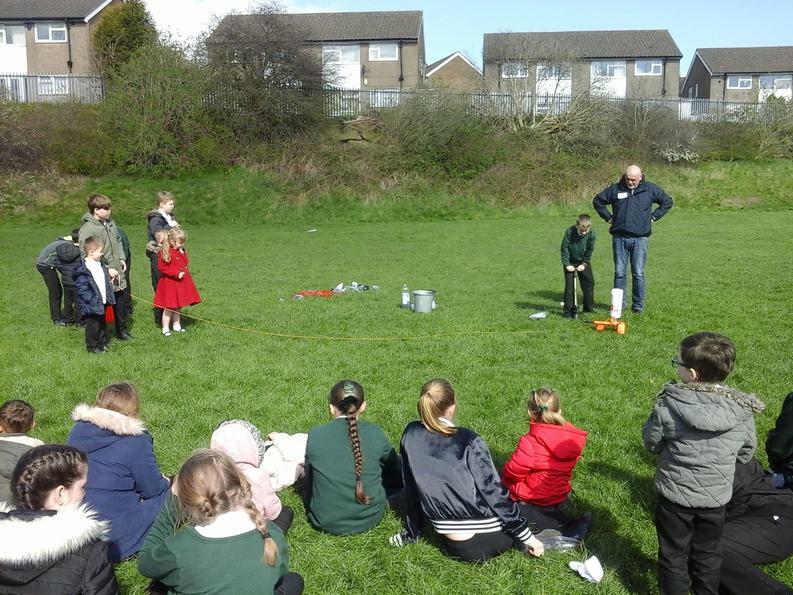 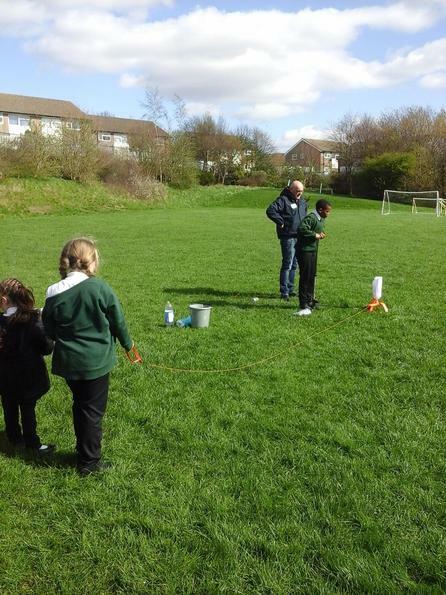 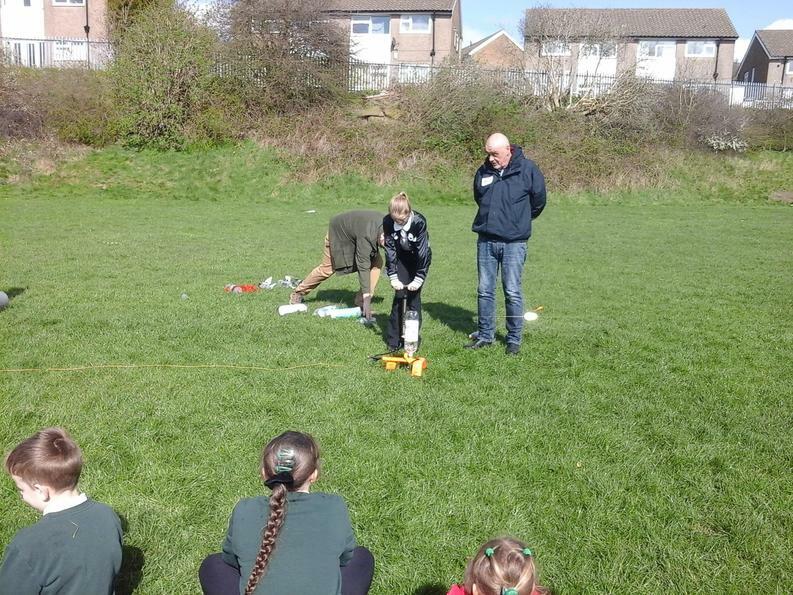 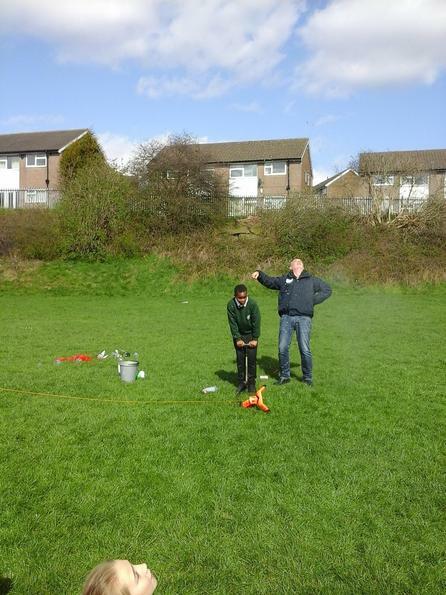 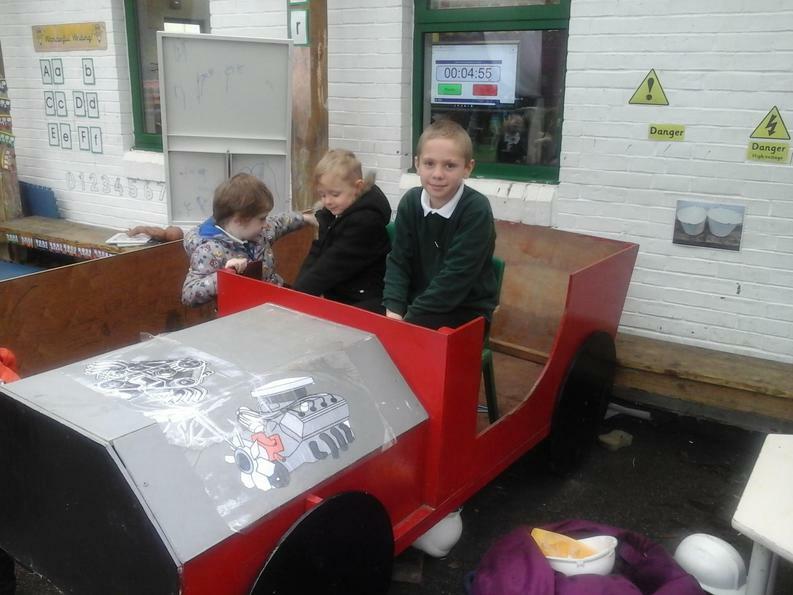 For the finale of the adventure, Wilf’s grandad came into school and took us onto the field where we launched rockets! 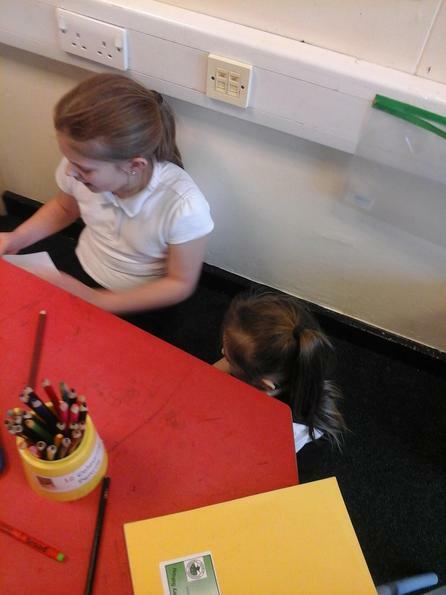 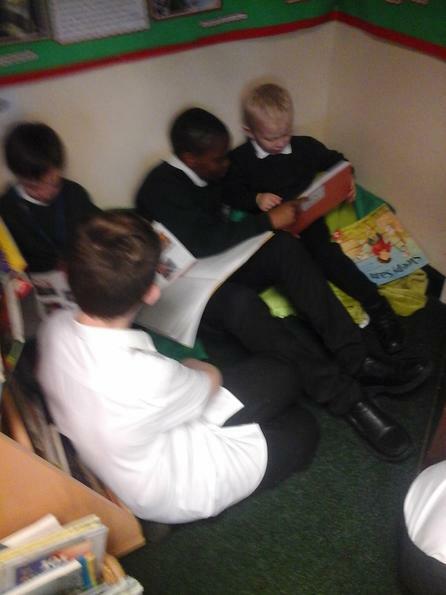 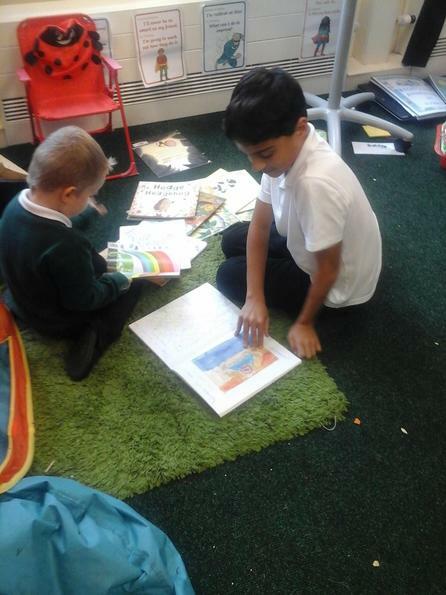 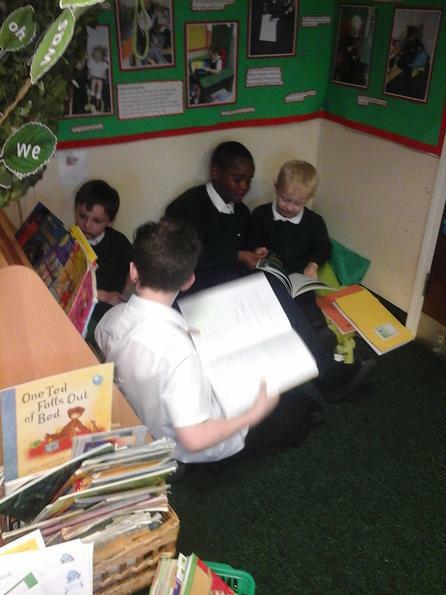 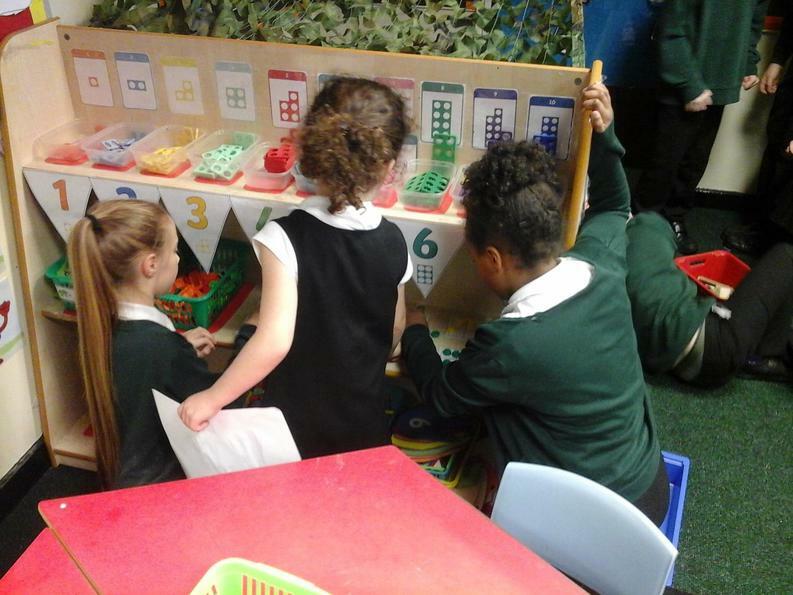 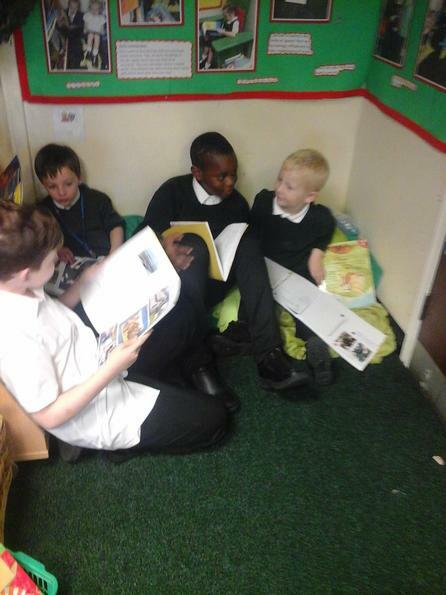 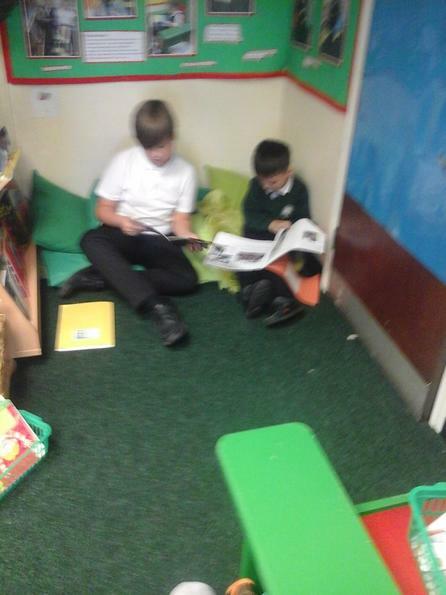 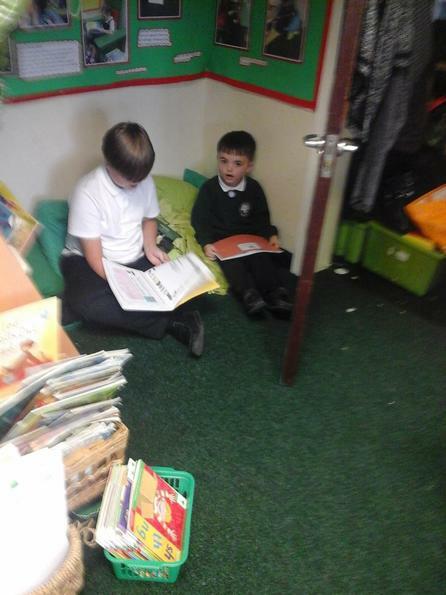 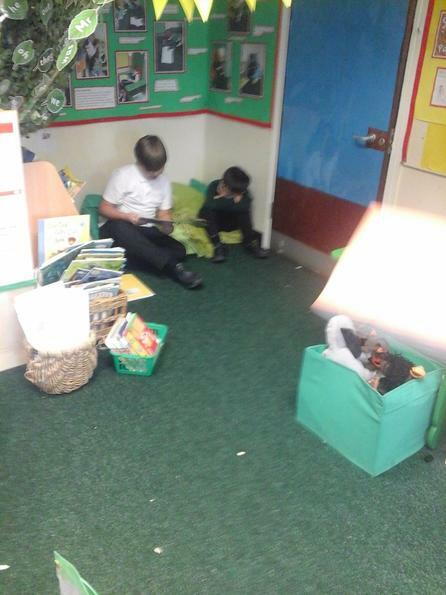 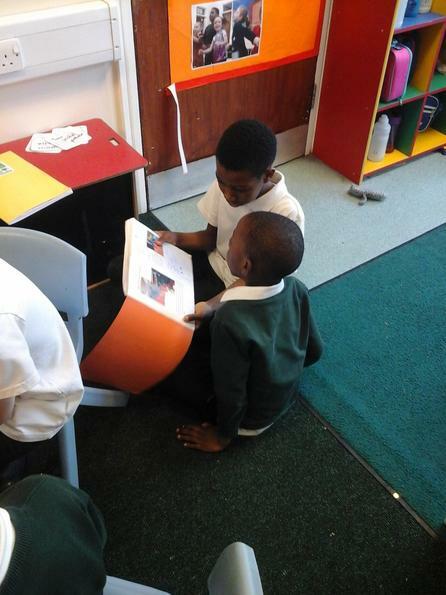 We even invited our Writing Buddies to join us. 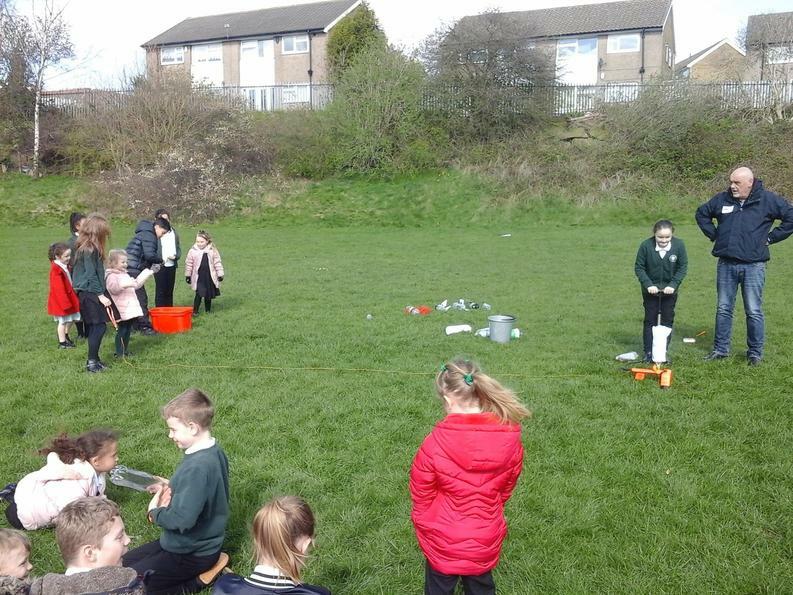 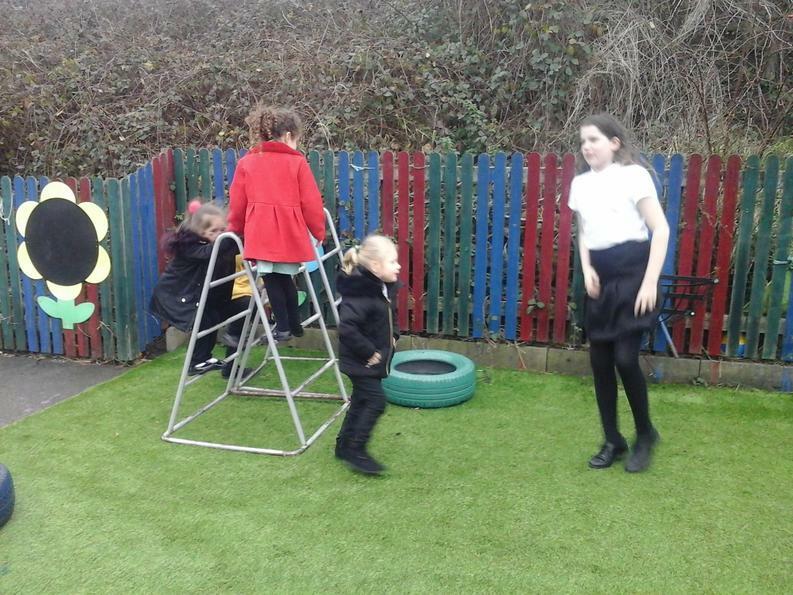 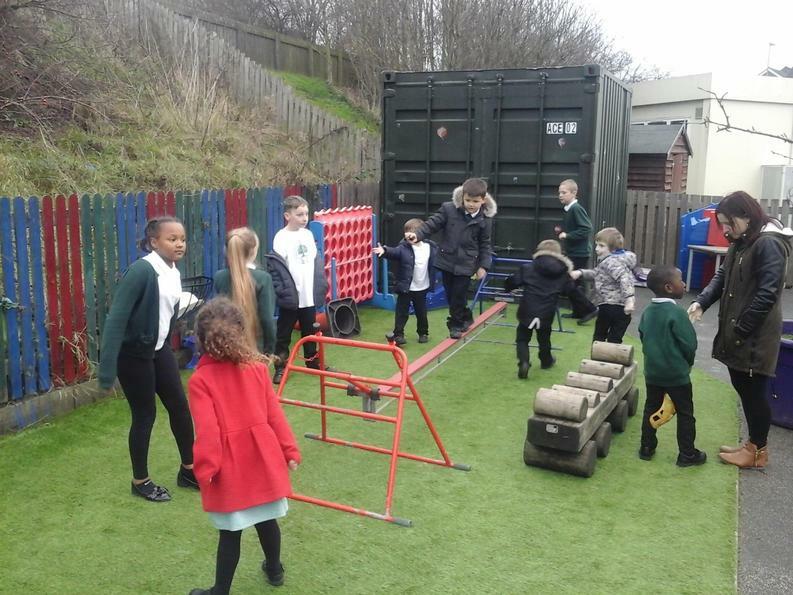 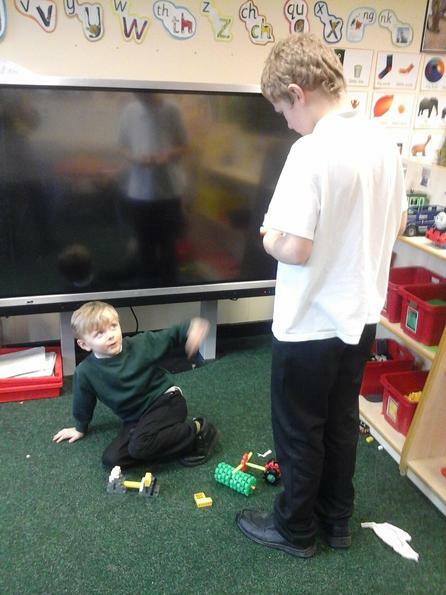 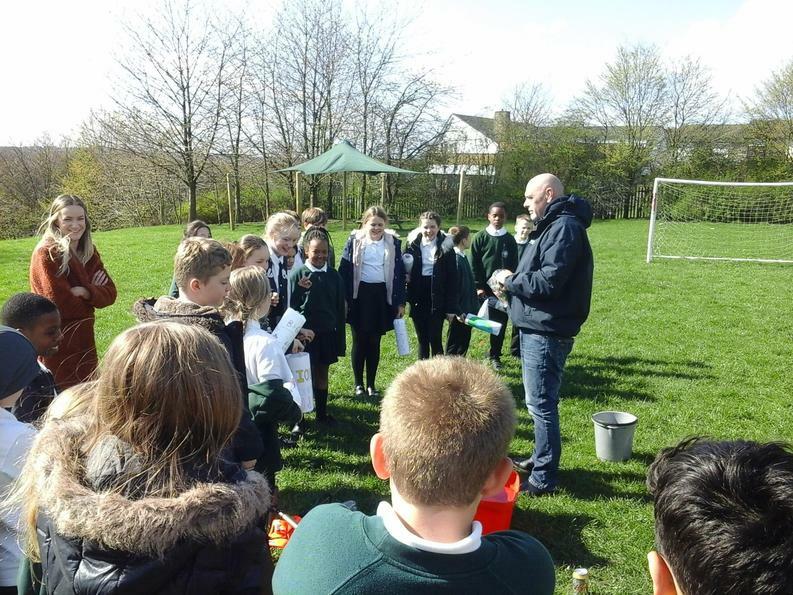 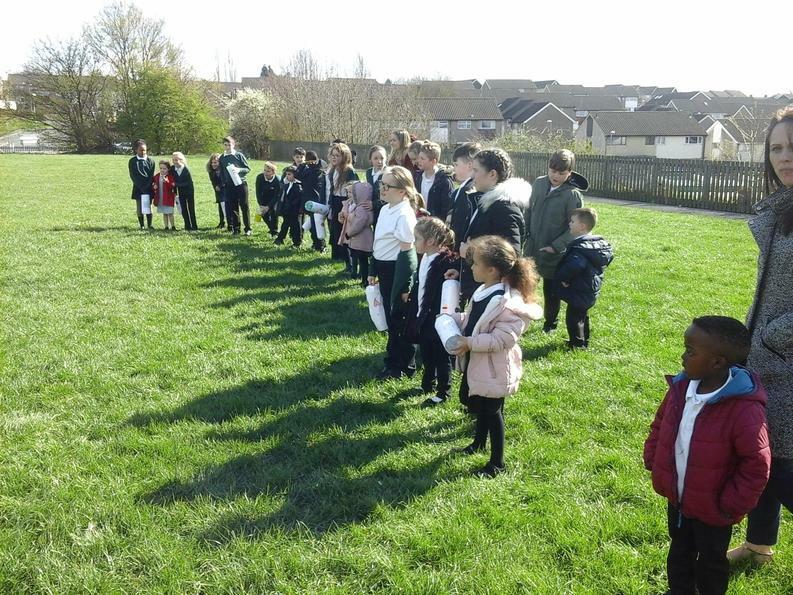 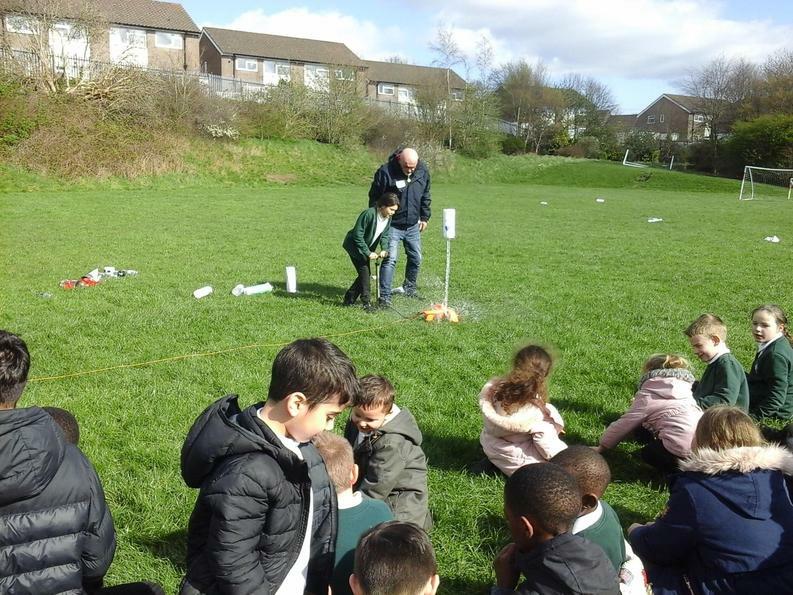 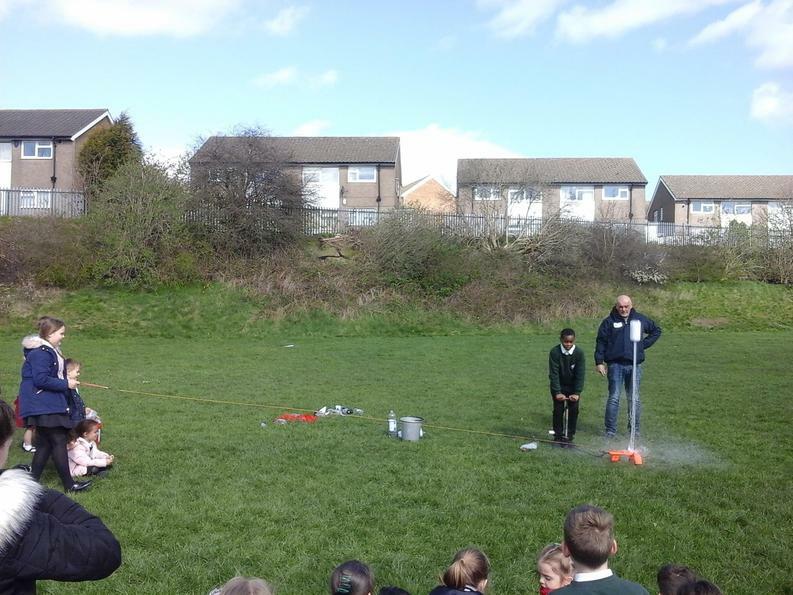 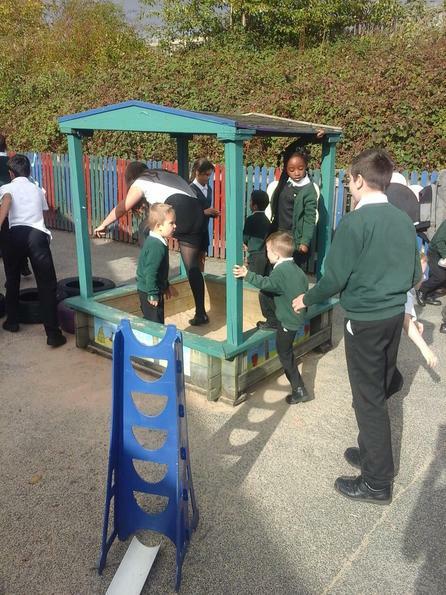 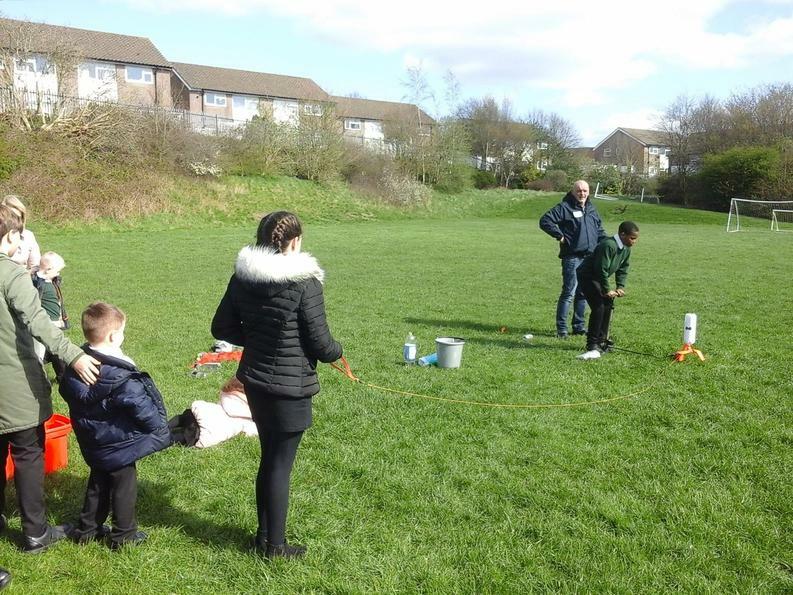 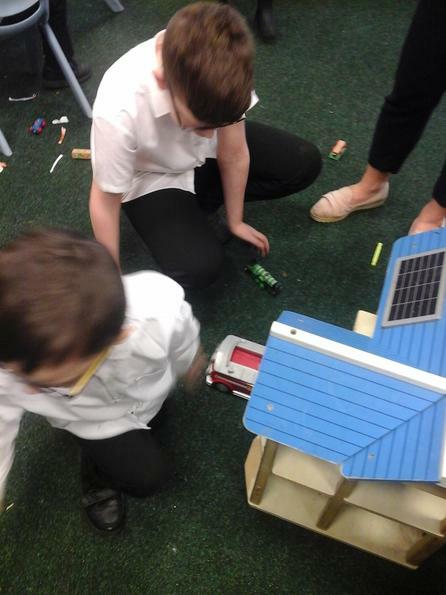 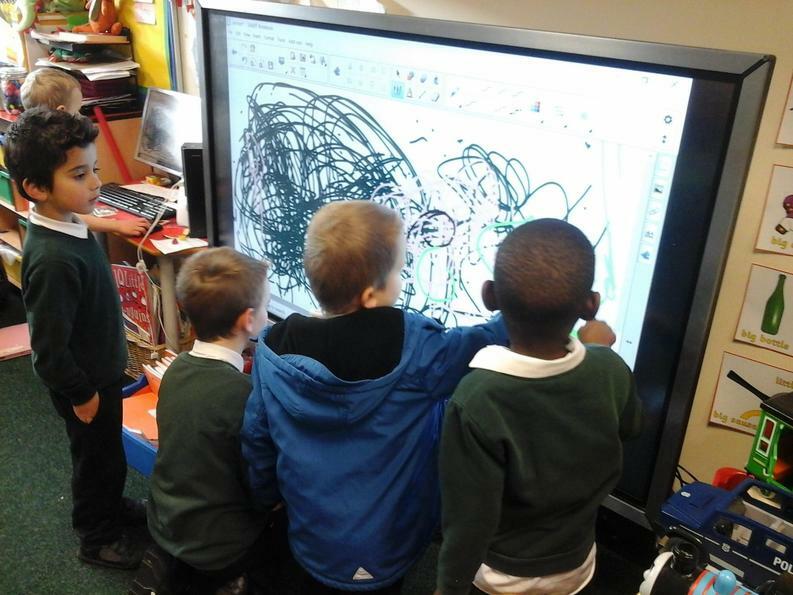 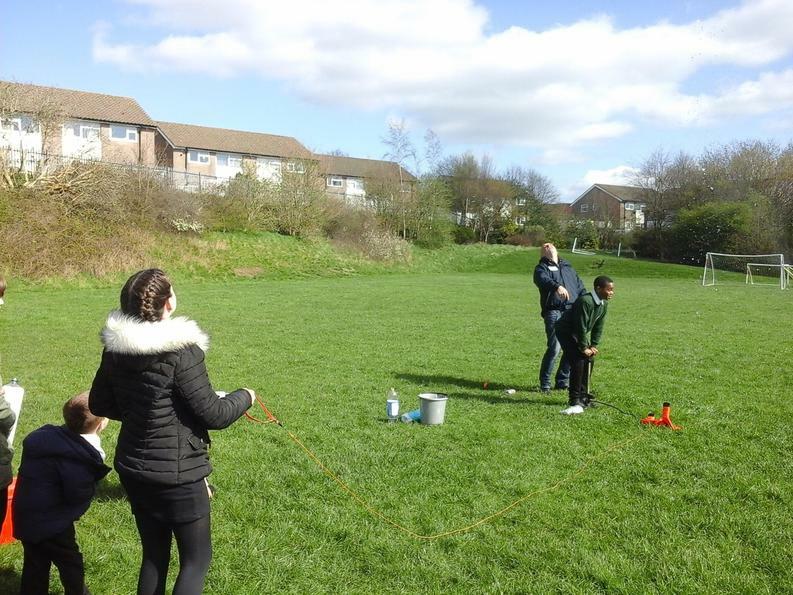 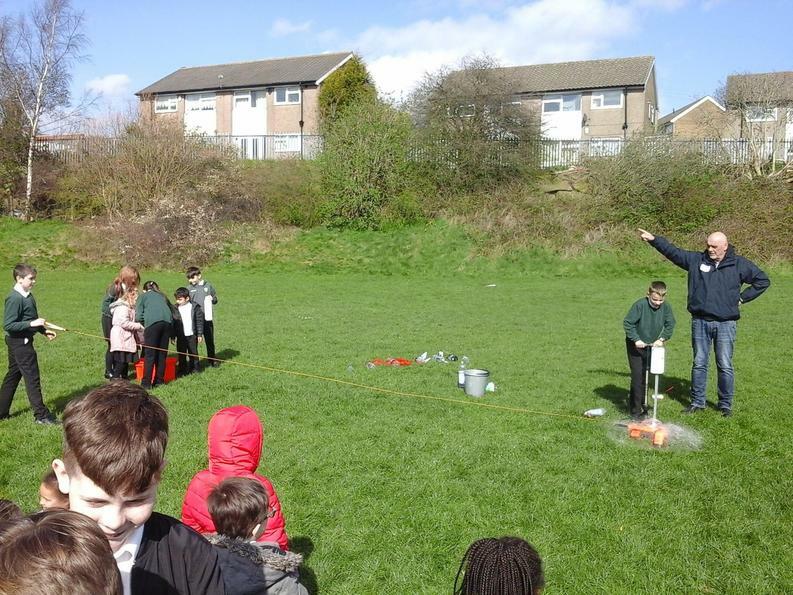 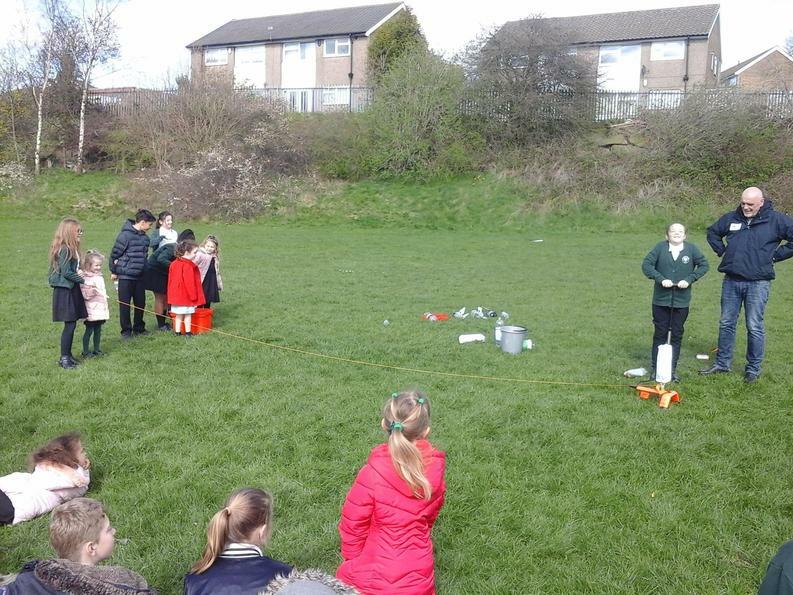 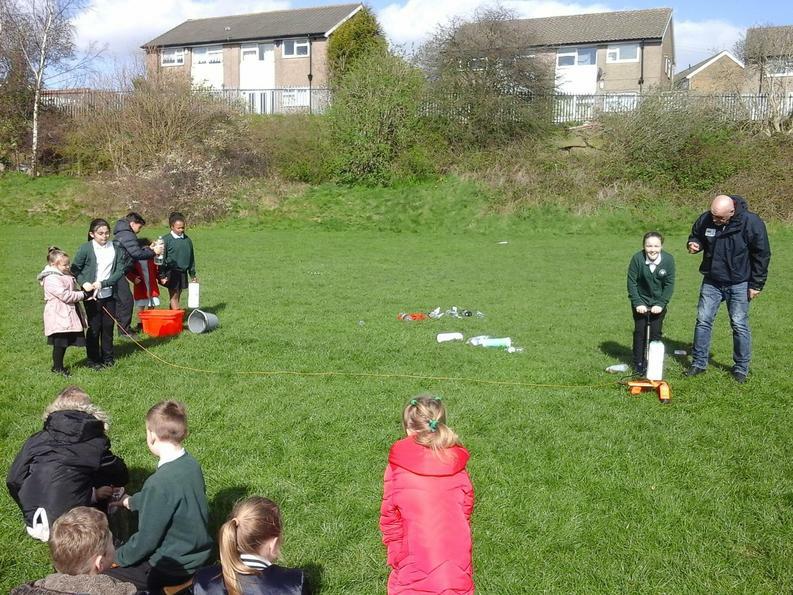 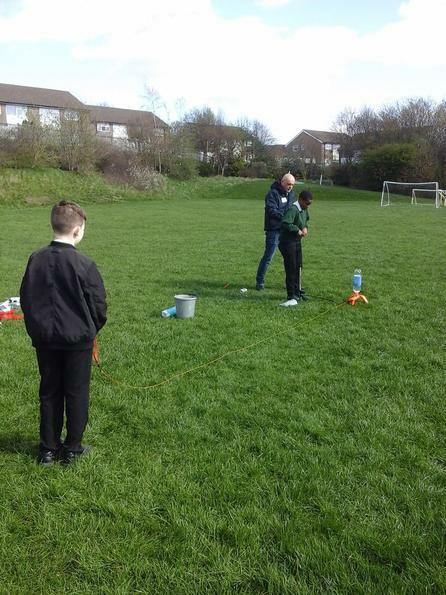 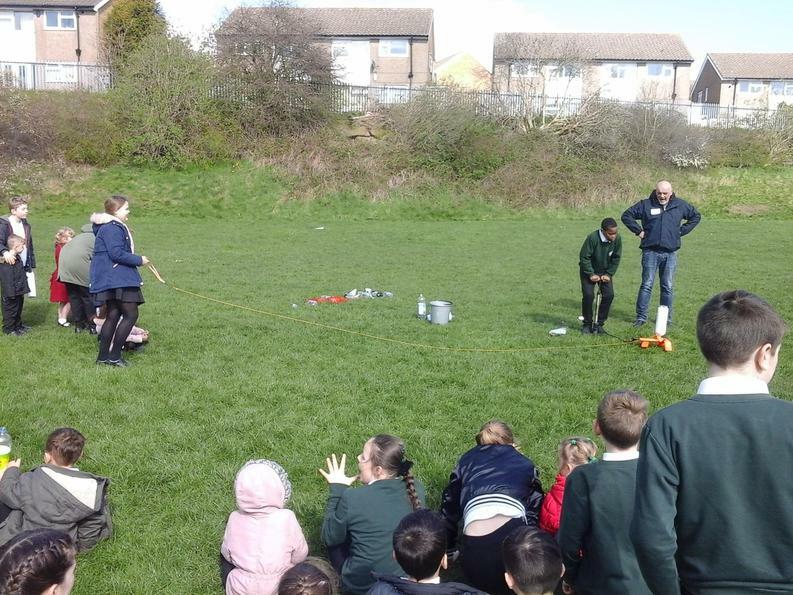 After watching the rocket launches, we went down to show our buddies all the work we’d been doing and to find out about their adventure. 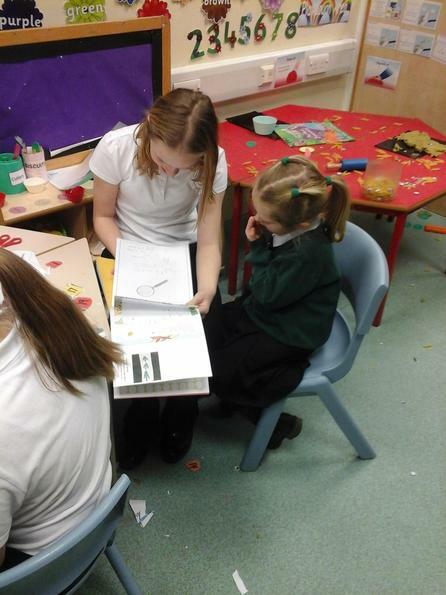 Then we stayed to spend some time with them.